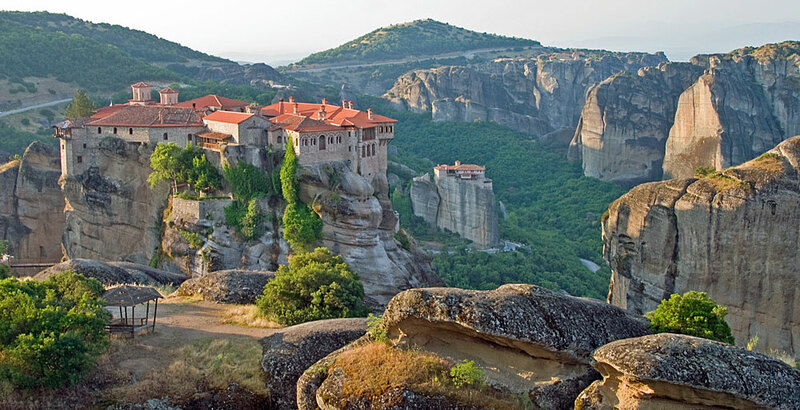 The Monasteries of the Meteora in Thessaly are one of the most striking sights not only in Greece but in Europe. 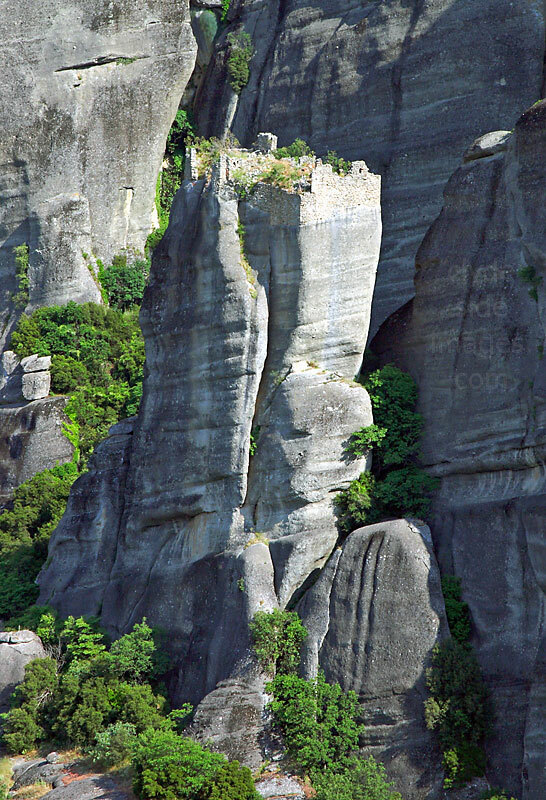 These ancient retreats, first inhabited by Byzantine hermits in the 11th century, are perched dramatically on top of sheer sandstone pinnacles. My wife and I finally made it back to the area almost 25 years to the day after our first visit. 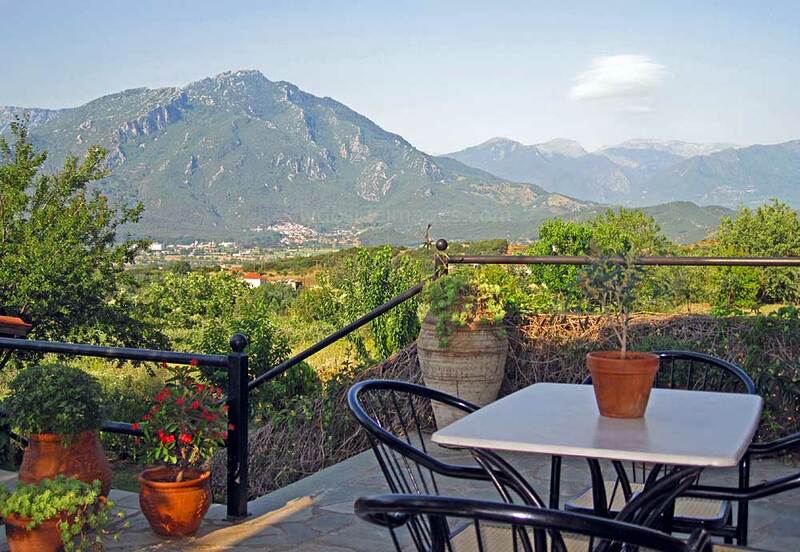 Then, only an overnight stay in Kalambaka had been allocated during a self-drive 'grand tour' of the Peloponnese and Greek Mainland which was far too short to do the area justice so several days were spent here on returning. 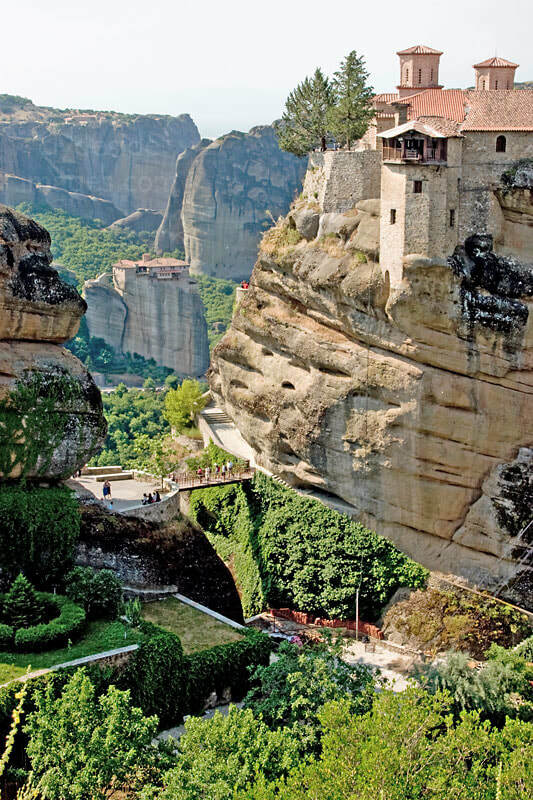 ​Meteora in Greek means "suspended in the air," which perfectly describes the six Greek Orthodox monasteries that draw tens of thousands of tourists every year. 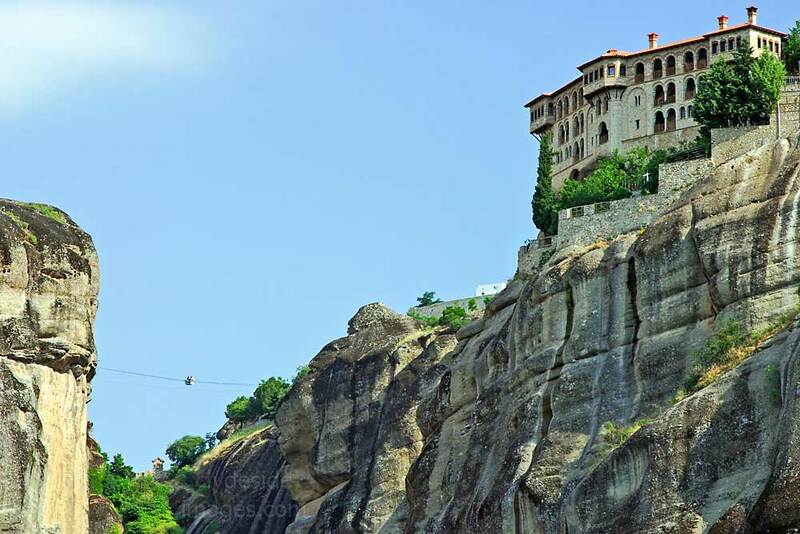 The six surviving monasteries were built in the 14th and 15th centuries, the first being Great Meteoron (c.1340) and by 1500 there were 24 in operation. 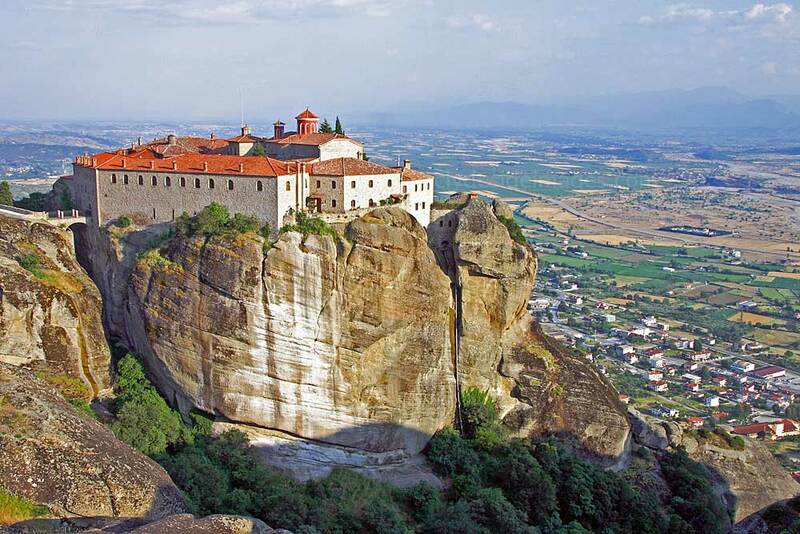 They flourished until the 17th century and of those that survive today, four still host monastic communities with nuns occupying the other two. 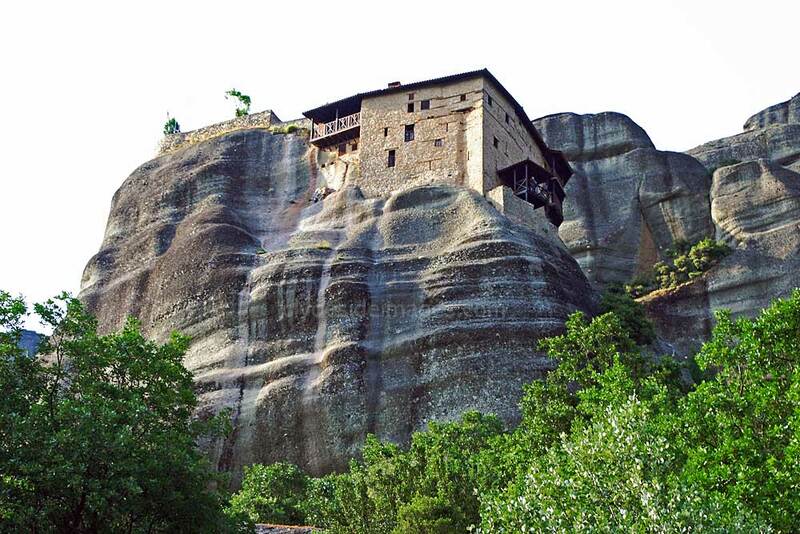 Many remnants of earlier dwellings can still be spotted high on the rocks including the wooden walkways and castellated pillars shown here. 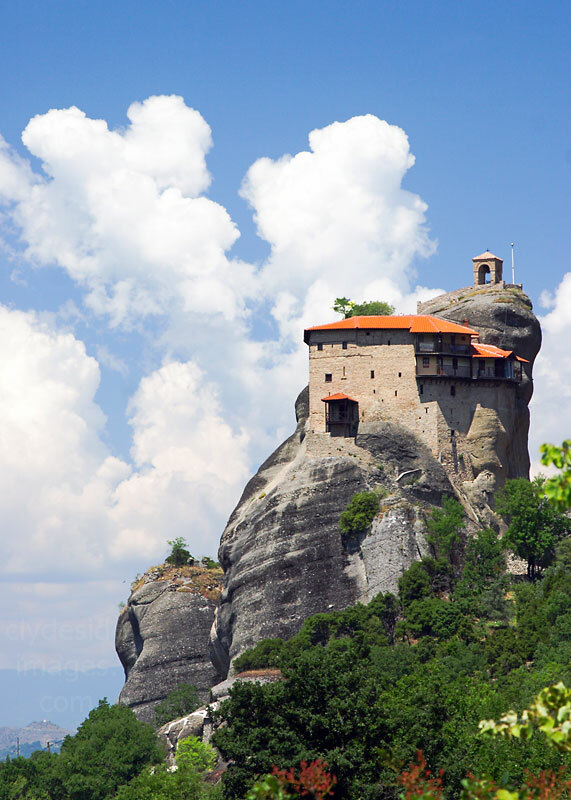 The area`s first inhabitants were a group of ascetic hermit monks who set up home as early as the 11th century AD in the caverns and fissures of the bizarrely-shaped rocks, some of which tower 550 metres (1,800ft) above the plain. 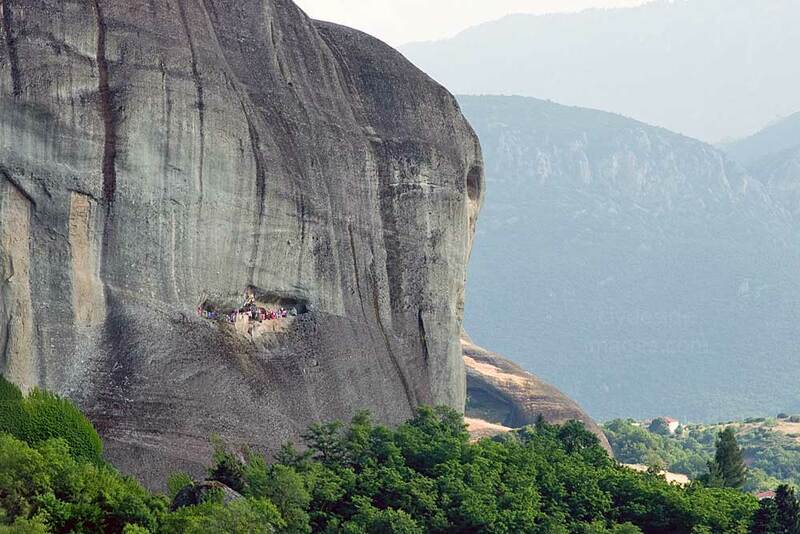 Present-day hermits still occupy several of the apparently inaccessible caves cut into the rock. Washing strung out on lines to dry confirms that all is well. 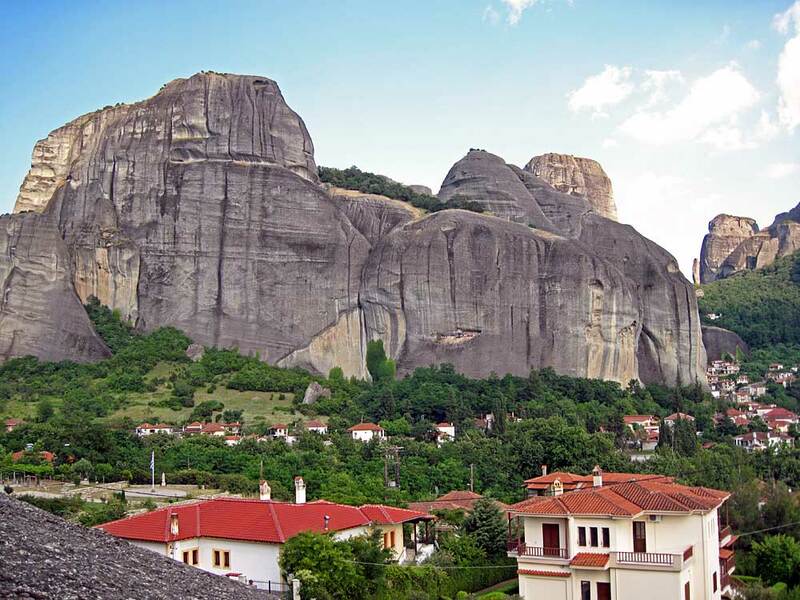 Kalambaka is the nearest town to the Meteora and Kastraki village also lies right at the foot of the pinnacles and makes a better base. 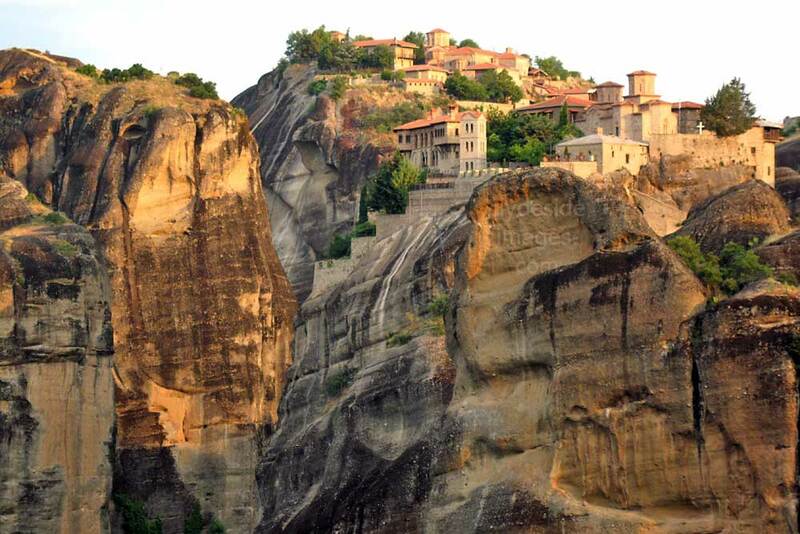 Pictured in the foreground above is Rousannou (Ρουσανου) Monastery which was founded around 1545. 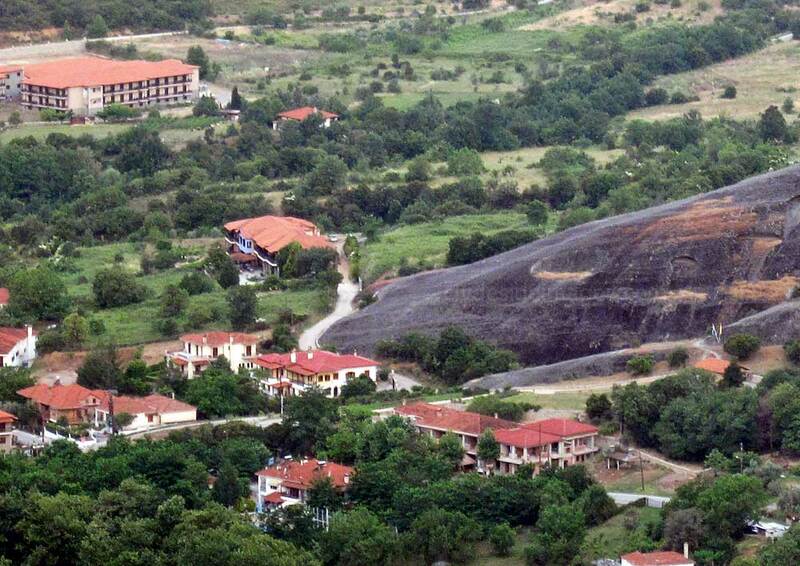 Since 1988 it has been occupied by a small community of nuns. 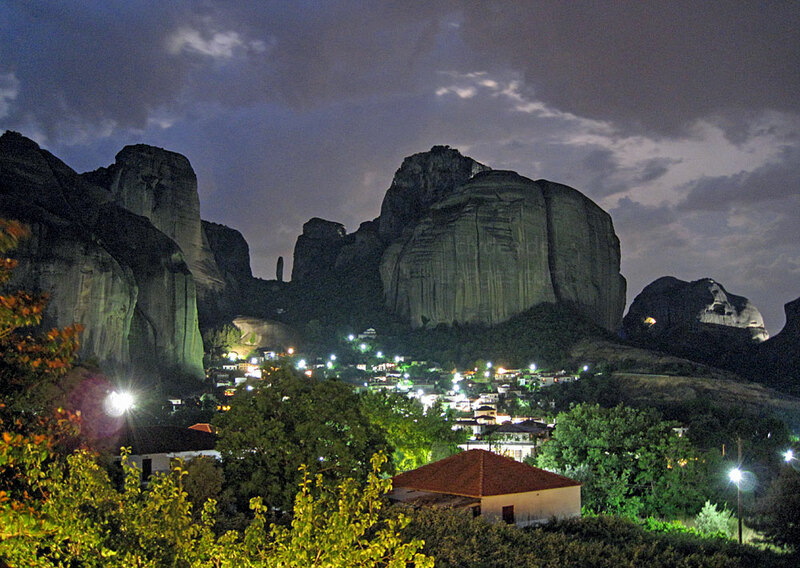 In the distance, Agios Nikolaos Anapaphsas dates from the 14th century and its design is unique in the Meteora as it has been built to fit onto a small, uneven base. 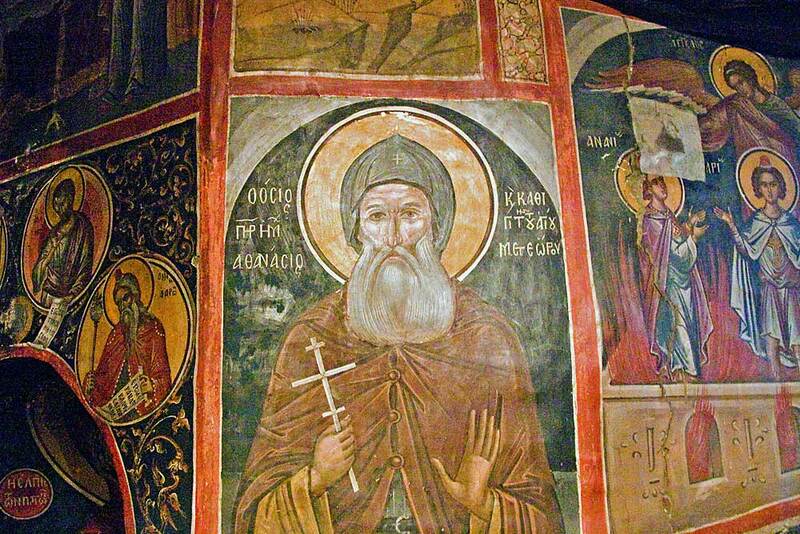 It houses a fine collection of frescoes by the 16th century Cretan painter Theophanes the Monk. 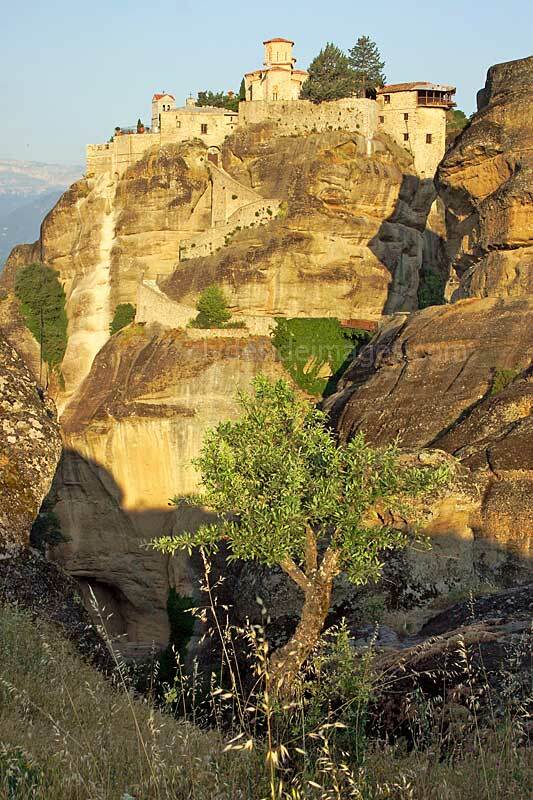 The relative inaccessibility of the area, combined with its high elevation, kept away all but the most determined visitors and allowed the hermits to lead a life of solitude. 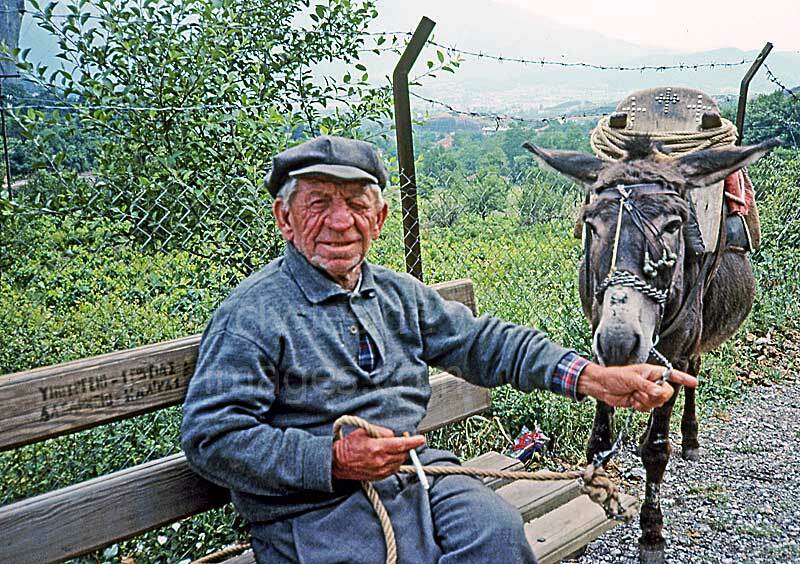 Eventually, however, they began to meet on Sundays and on special days to worship to pray in a chapel built at the foot of Doupiani rock, beside the modern-day village of Kastraki. 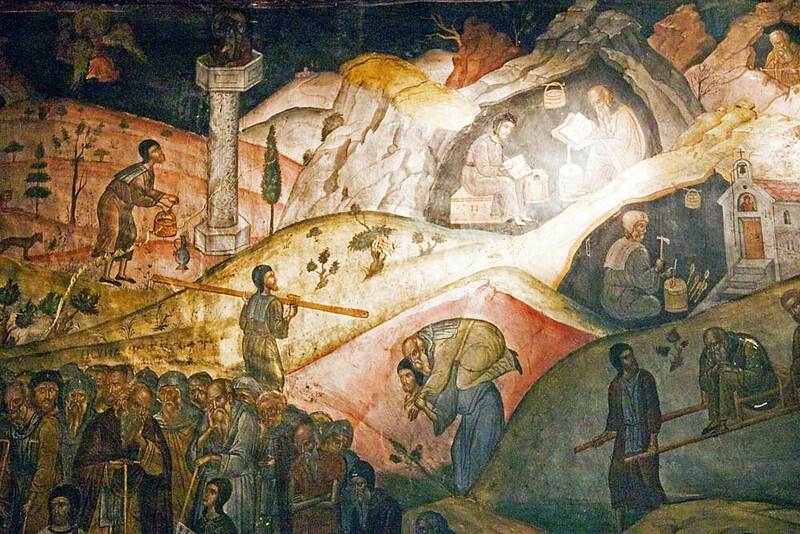 Access to the monasteries was originally and deliberately difficult, requiring either long ladders lashed together or large nets used to haul up both goods and people. This was of course very welcome in times of war, especially when the Ottoman Turks invaded. 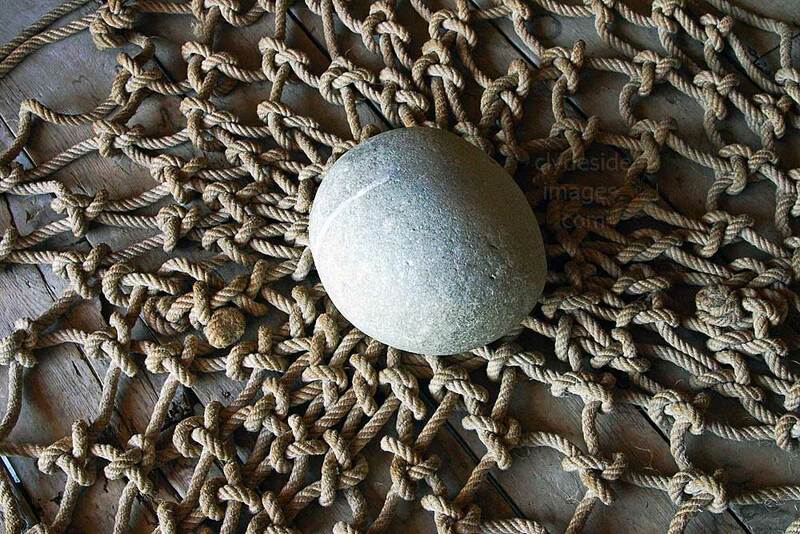 The story goes that the ropes were only replaced "When God let them break!" 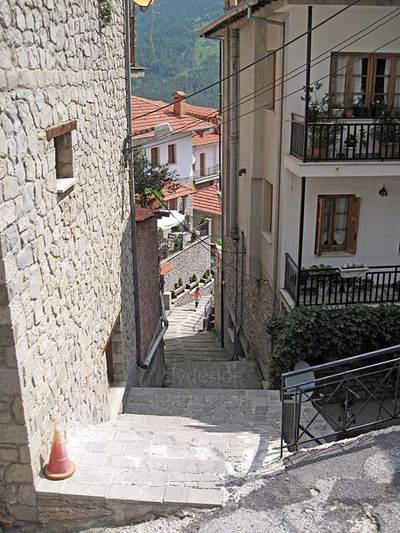 but by the 1920s, steps had been cut making the access to most of the monasteries far less dramatic. 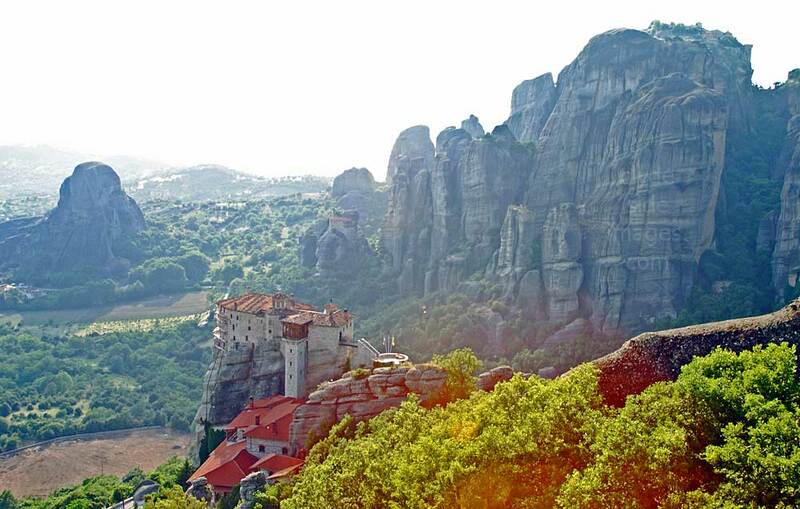 The monasteries operate a strict dress code: all shoulders must be covered, men must wear long trousers and women must wear long skirts. 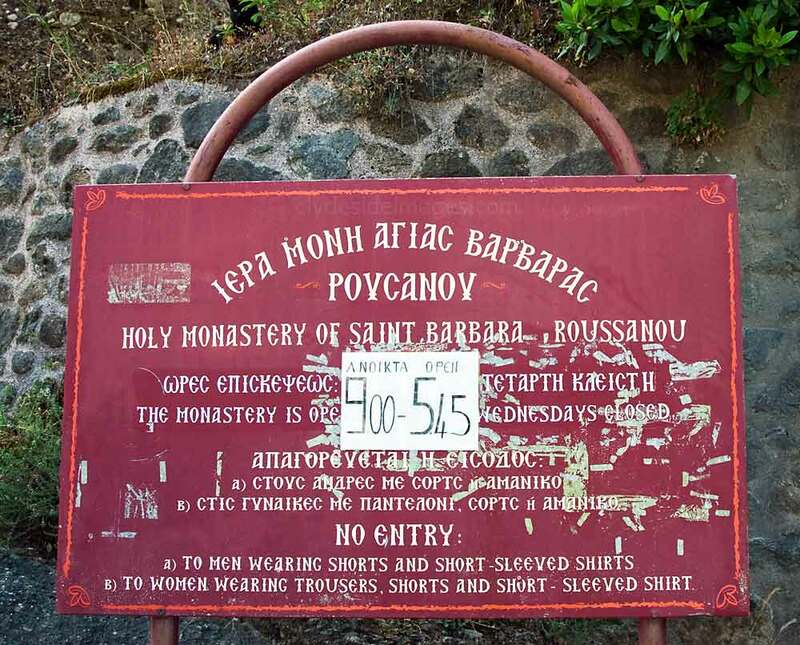 This is not rigorously adhered to in every monastery, however, as I saw numerous coach tour passengers wandering in with t-shirt and shorts but it`s best to go suitably attired. Wrap-around skirts should be available for women at the entrances. 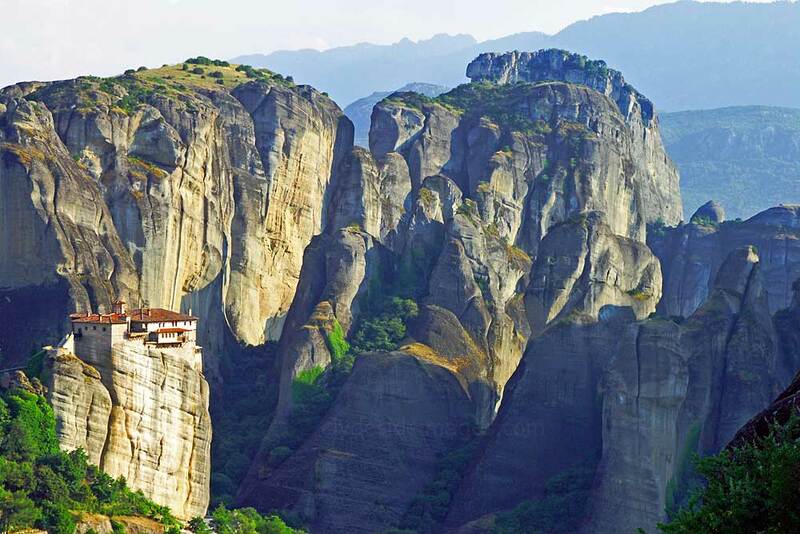 ​For UK tourists visiting Greece, the Meteora region is quite awkward and time consuming to reach, entailing either a long drive in a rental car from Athens or Thessalonika, or on an organised coach trip. 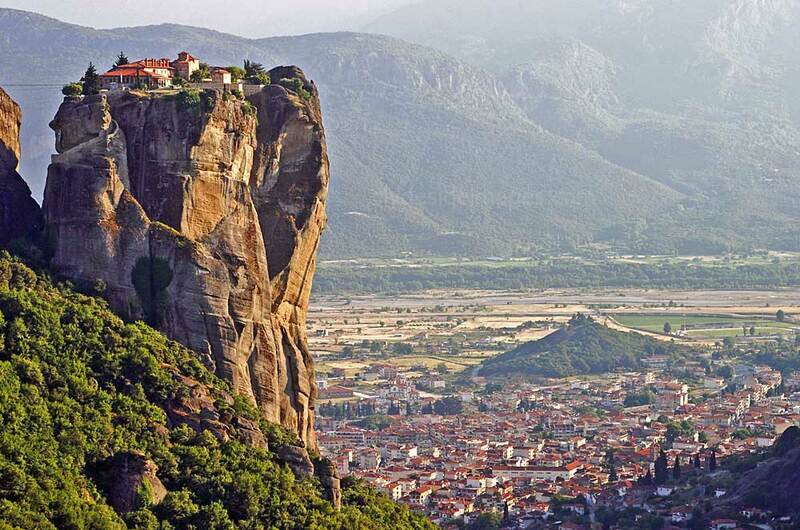 ​For anyone staying on Corfu, however, a trip to the Meteora is a more appealing prospect. 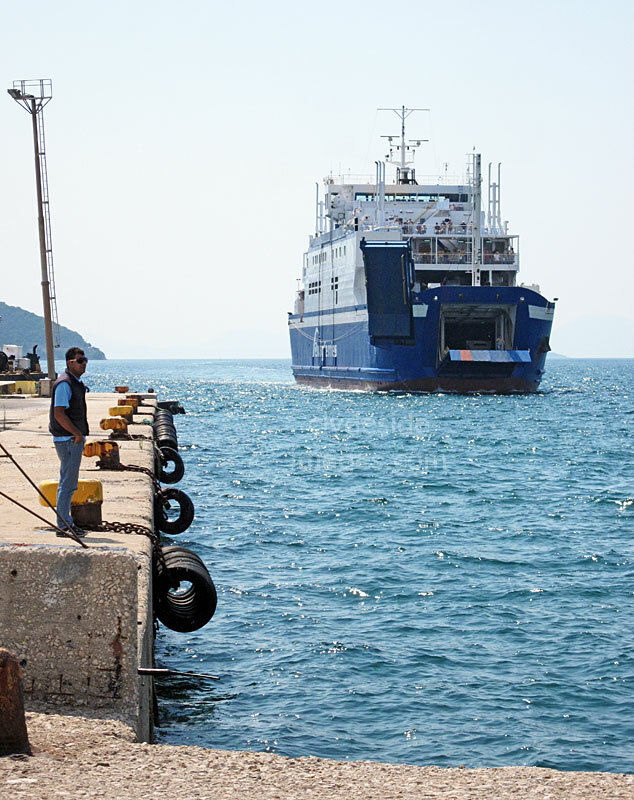 Ferries leave regularly from Corfu Town (below) and take between ninety-minutes and two hours to reach Igoumenitsa on the mainland from where Kalambaka, the gateway to the monasteries, is around a 3-4 hour drive away. 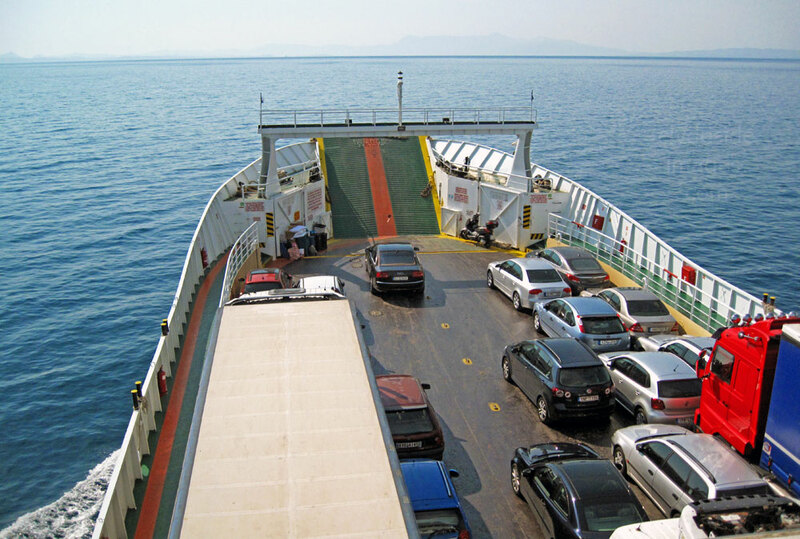 Most ferries take both cars and passengers but the open car deck vessels are slightly slower, adding around 30 minutes per crossing in most cases. Although there are several car rental companies at the port city, it's advisable to book well in advance as I'd imagine vehicles would disappear fast during peak season. 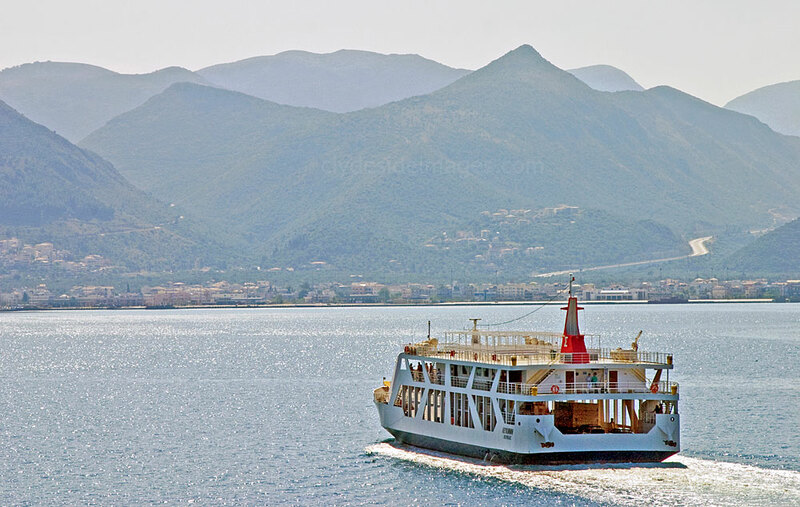 We sailed on MV Dorieus of 2Way Ferries which left Corfu Town at 09:00 hrs. She was built in 1989 in the UK by North East Shipbuilders, Sunderland, and has had several names and operators since being acquired by 2Way Ferries. 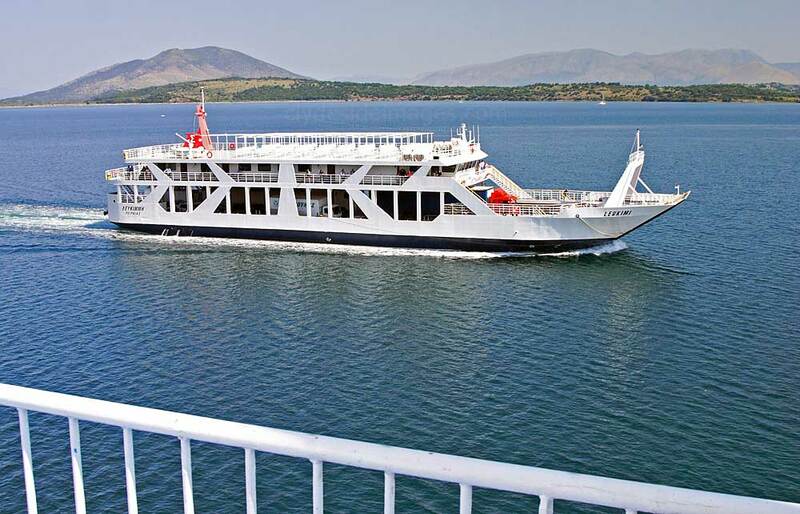 Now a regular on the Corfu - Igoumenitsa run, she can carry up to 170 cars and 400 passengers and makes several crossings each day. There wasn't much to see during the outbound crossing apart from several small ferries and Igoumenitsa port was quiet too, the only vessel of note being MV Larks, an ex-Cross-Channel Ferry. ​The vessel was built at Bremerhaven, Germany, in 1976 and has had several identities and operators since beginning her career as the Gedser, first serving the route between Gedser (Denmark) and Travemunde (Germany) for almost 10 years. Thereafter she sailed the English Channel from Ramsgate to Dunkirk and later, as MV Larkspur, with TransEuropa Ferries from Ramsgate to Ostende. 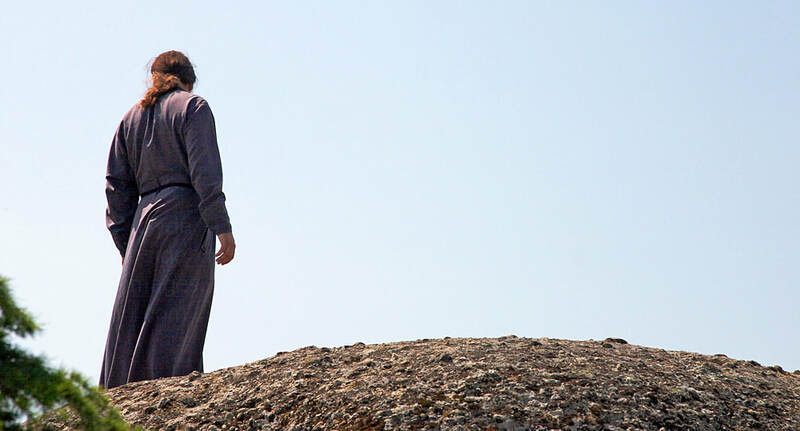 After TEF went bankrupt in April 2013 the ship was laid-up but eventually sold to Oilchart, a local bunkering company, for a fee of around €400,000 Euros. Her name was then shortened to Larks. I'm not sure exactly what she was doing at Igoumenitsa. 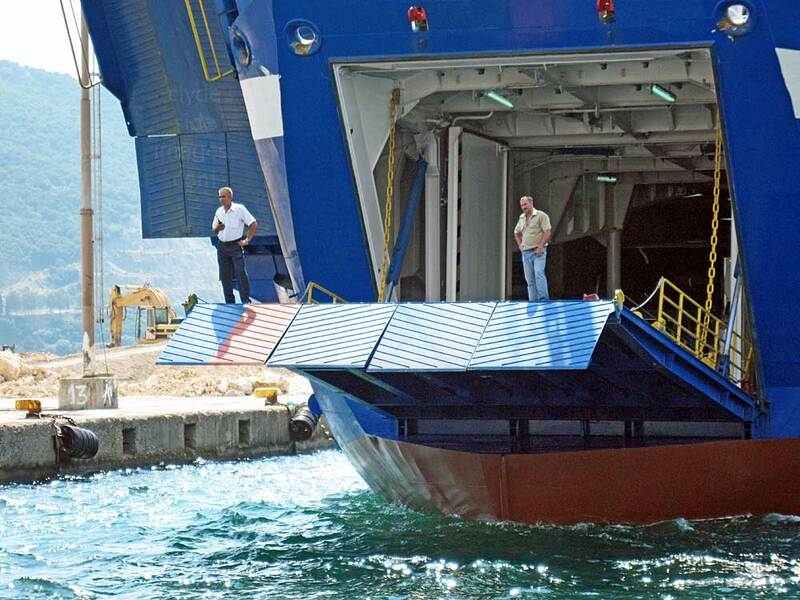 The following shots show MV Dorieus is pictured docking at the port. The A2 Motorway (sunlit in this shot) climbs out of the Igoumenitsa and crosses the north of the country. 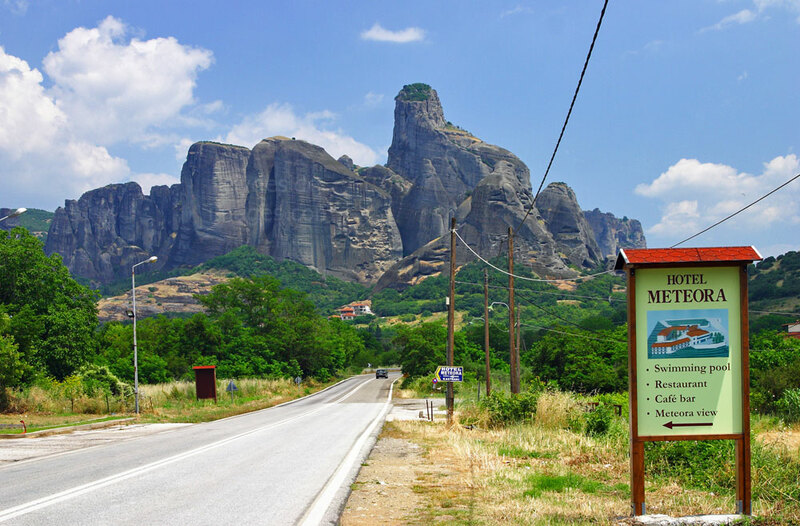 As it`s a toll road (with only 2 booths on the way to Kalambaka) very few locals use it and consequently traffic was very light. 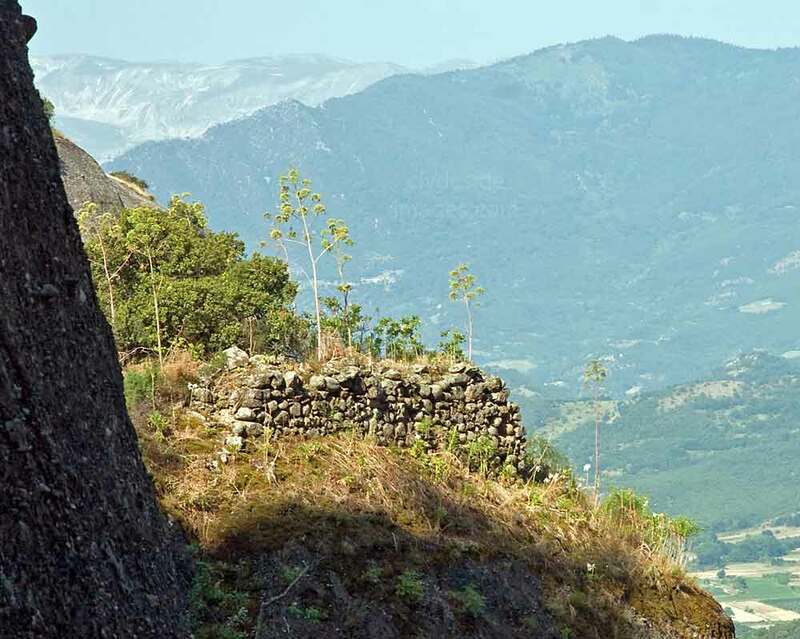 The new road passes through mountainous country and a series of tunnels, some several kilometres long, have been blasted through the hillsides all along the route. The A2 was a pleasure to drive compared with the old National Highway which consisted of a single lane and hard shoulder which was frequently used to overtake - quite hair raising when clapped-out HGV`s were involved! 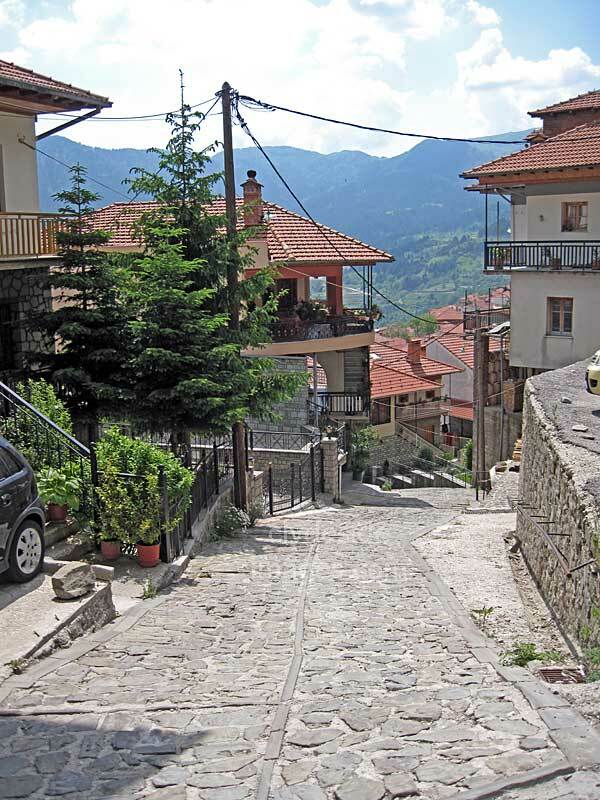 Metsovo is a town in Epirus, in the Pindos mountains. 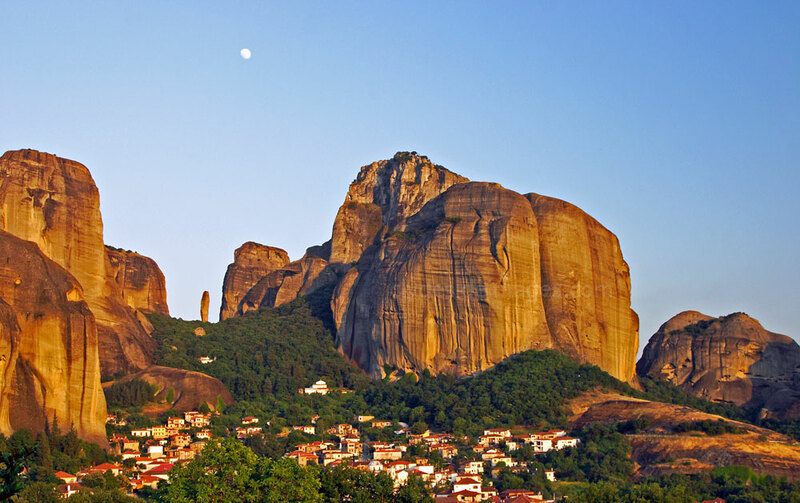 It is the largest centre of Vlach life in Greece and, lying just a few kilometres from the motorway, makes a great spot for a stopover and wander round when you`re heading to or from the Meteora. 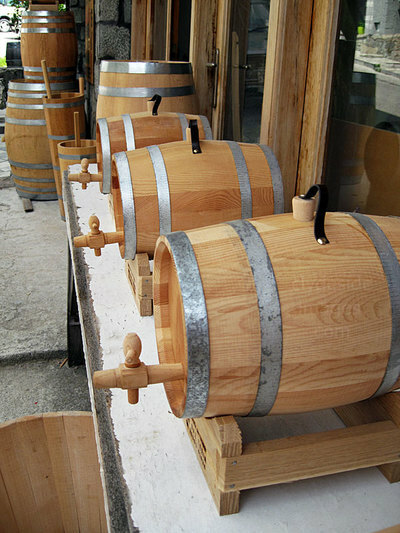 The town is famous for its local cheeses and winemaking. 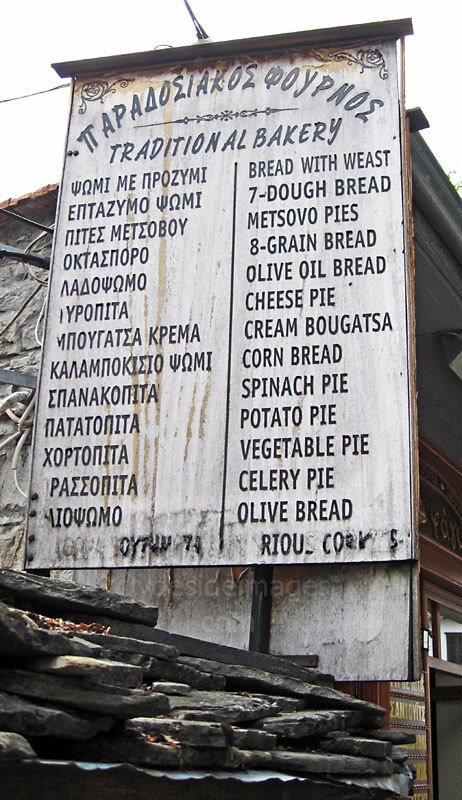 (The freshly baked cheese and spinach pie is thoroughly recommended). Metsovo is also a popular winter vacation destination being one of the country`s main ski resorts. Small patches of snow were still visible on the highest tops. ​Despite the radical growth of tourism, the area has not lost its traditional character and it`s worth taking a wander through Metsovo`s narrow cobbled streets and alleyways. The main thoroughfare was pretty congested so I parked above the town centre, close to this old slate church (below) . Although it was a Friday, we got the impression that the schools had just stopped for the summer holidays. Kids were out playing and older teenagers filled a couple of the trendier cafe-bars. ​In 15th century Metsovo came under Ottoman rule and during the local Greek revolt of 1854 the town was plundered by Ottoman troops and the men of Theodoros Grivas, former general of the Greek military, during their struggle for control of the town. 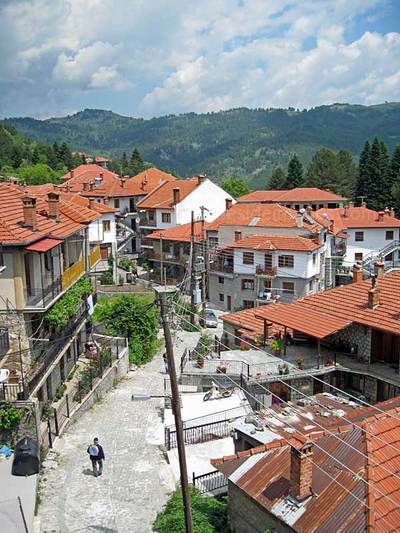 The town was also torched during the First Balkan War. 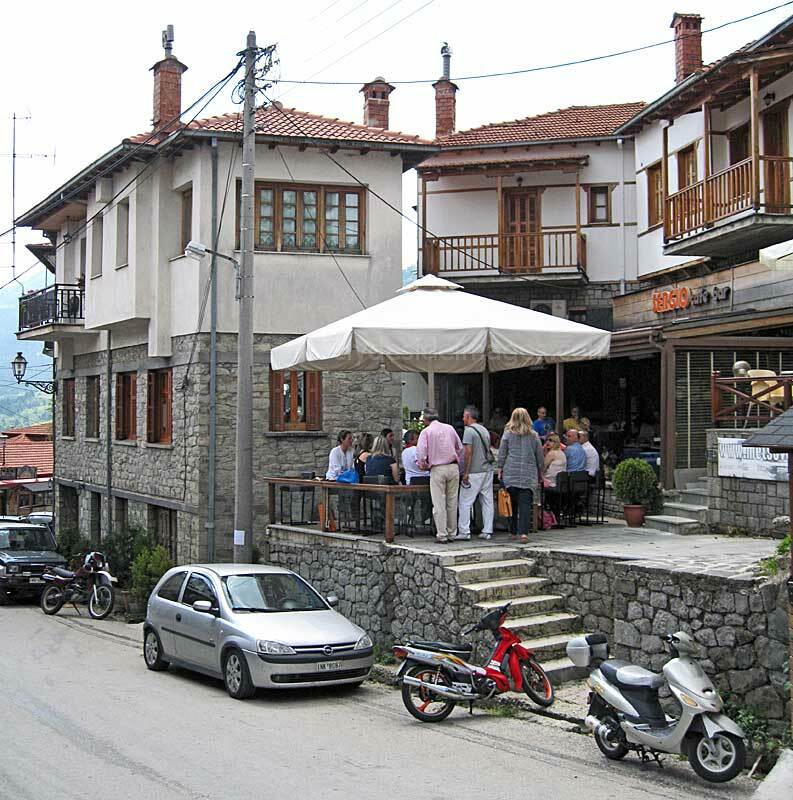 During the Second World War Metsovo was the capital of a puppet state, established by the Axis forces, known as the Principality of the Pindus. 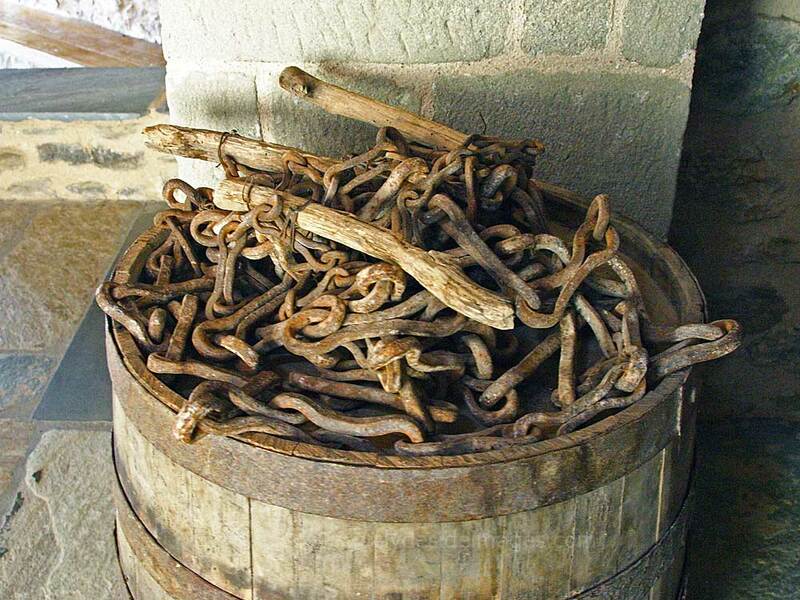 All in all, quite a turbulent history for a relatively small settlement. 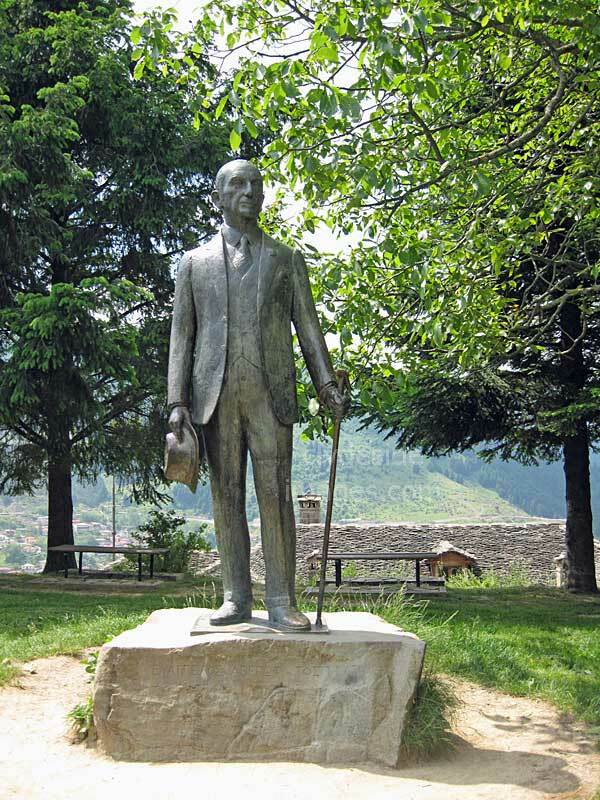 ​This statue of Evangelos Averoff-Tositsas (1910-1990), a prominent politician, stands near Metsovo`s main square. 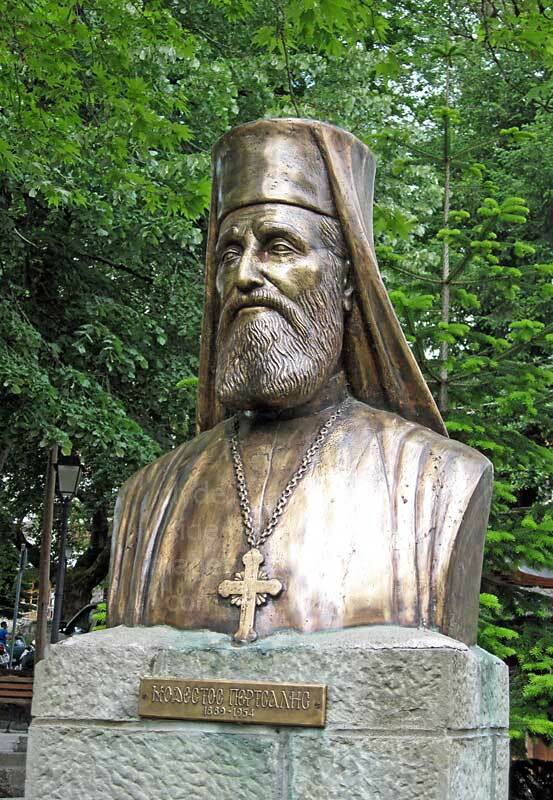 In 1940, during the Axis occupation of Corfu, he served as Regional Governor and was taken hostage and imprisoned in Italy. 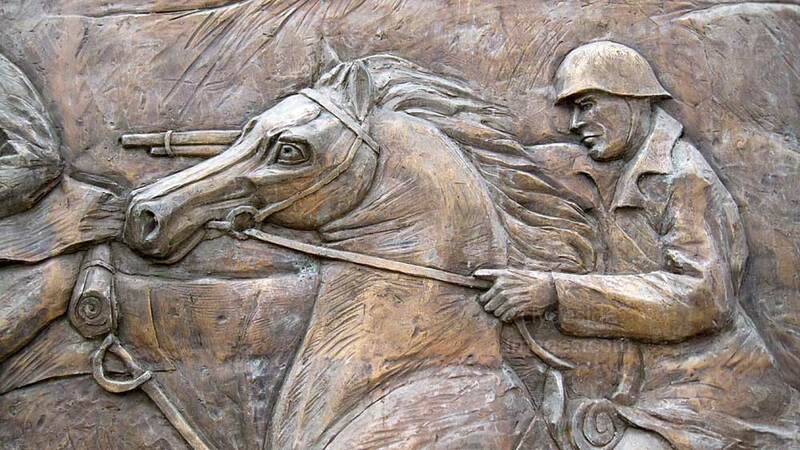 He escaped within a year and created the "Freedom or Death" resistance group, which aimed to liberate Greek and Allied war hostages. 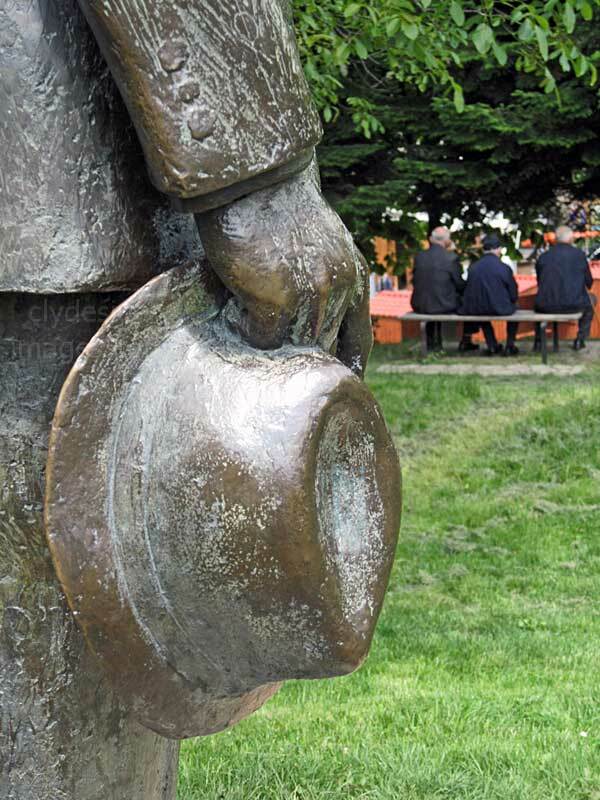 In 1946, he was elected to the Greek Parliament and served in a number of high-ranking roles including Foreign Minister. 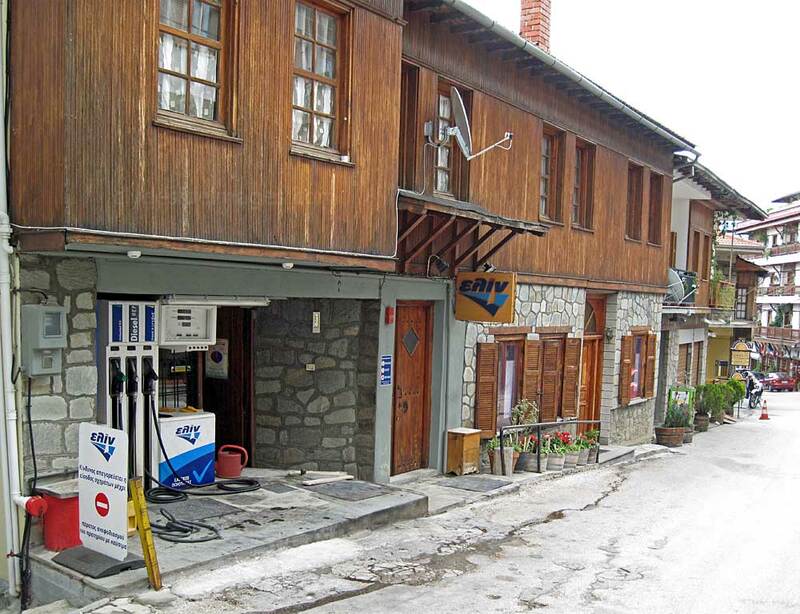 If you`re looking to fuel-up in Metsovo don`t expect a proper drive-in filling station - this single pump in a shop doorway is it! This WW2 era war memorial, flanked by two flagpoles, stands beside the main road at the north end of town. 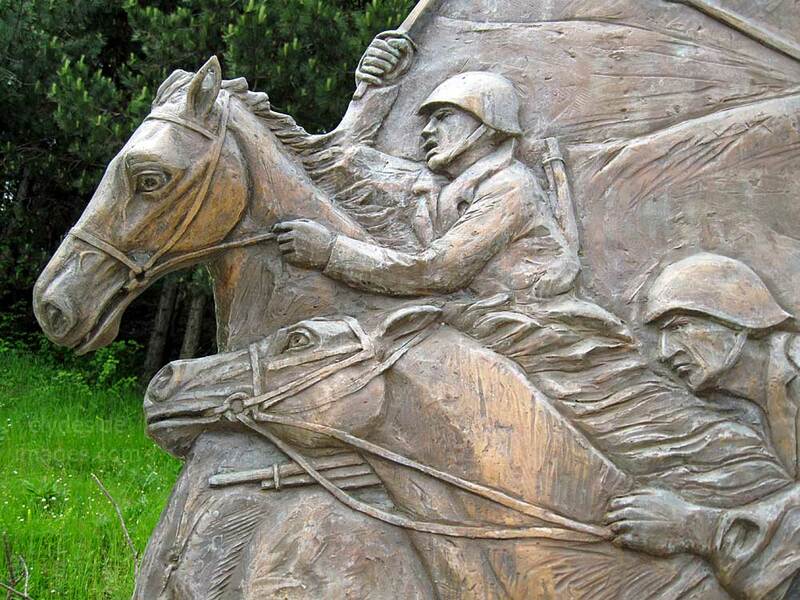 The inscription has a reference to 1940, but is in Greek only so I`m not sure of the exact details although it appears to relate to an action against the Italians. 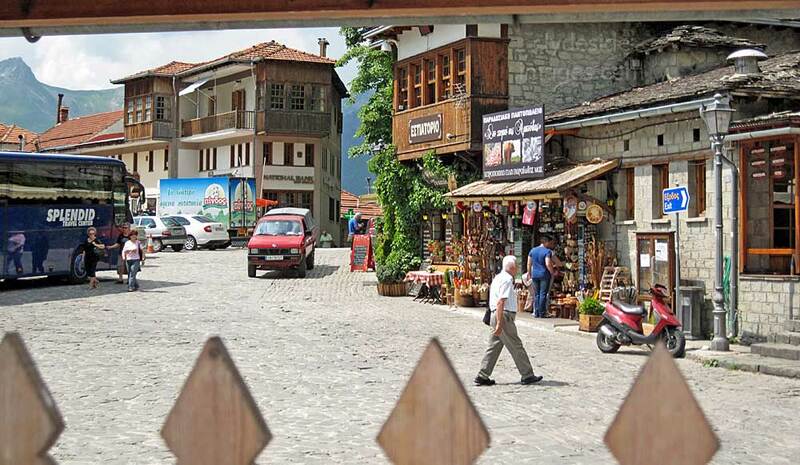 ​The Pindus National Park (also known as Valia Kalda) encompasses the remote mountainous terrain to the north of Metsovo and south of Perivoli. 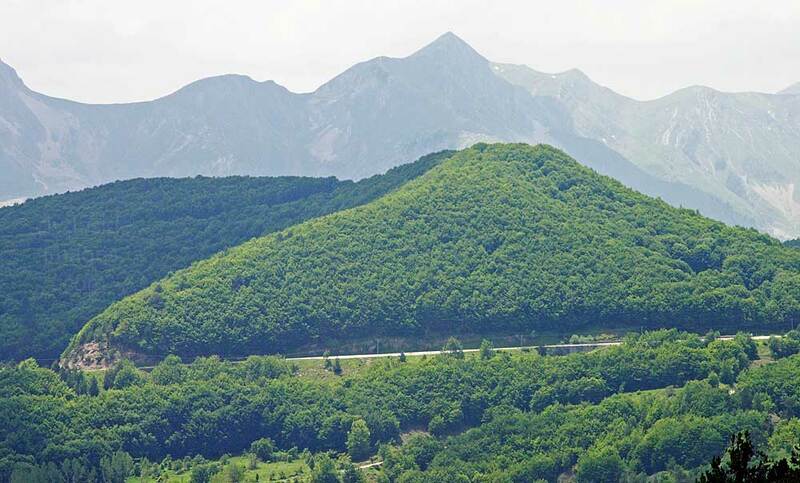 There are forests of black pine and beech, and in the higher parts, Bosnian Pine (Pinus leucodermis). 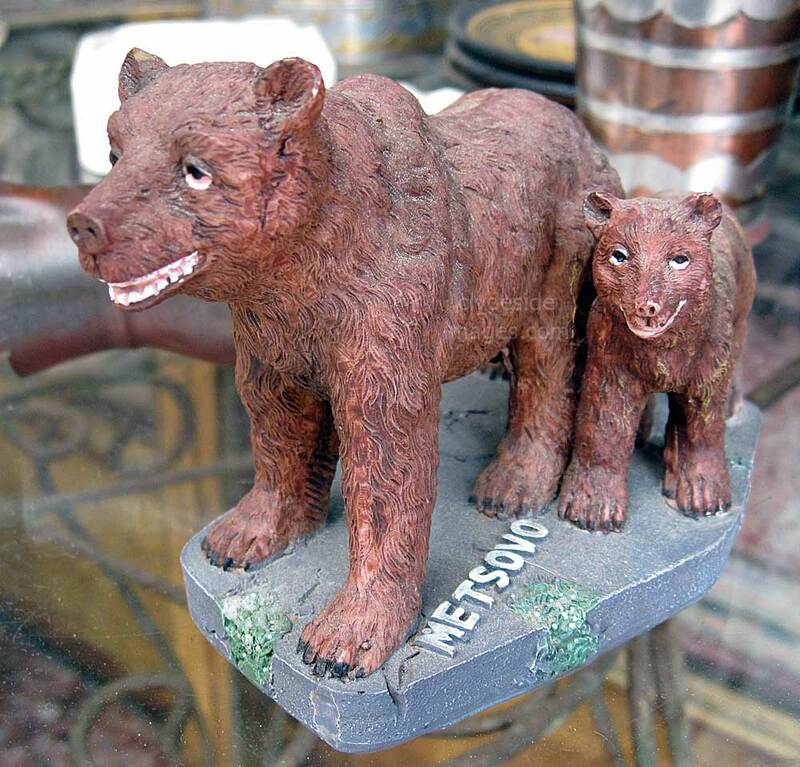 ​The park is a refuge for bears, wild cats, and lynx. 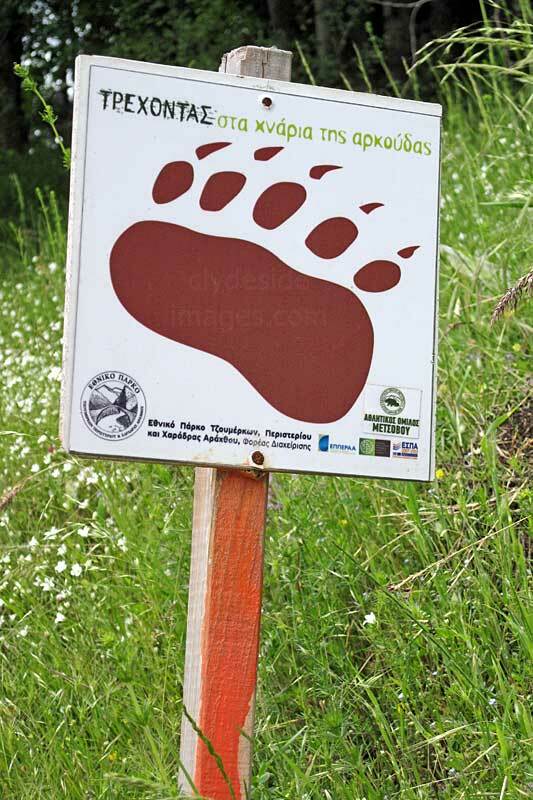 Bears in Greece are found in two main core populations, separated by a distance of around 250km with the Pindos population, the larger of the two, estimated at just 115-145 animals. 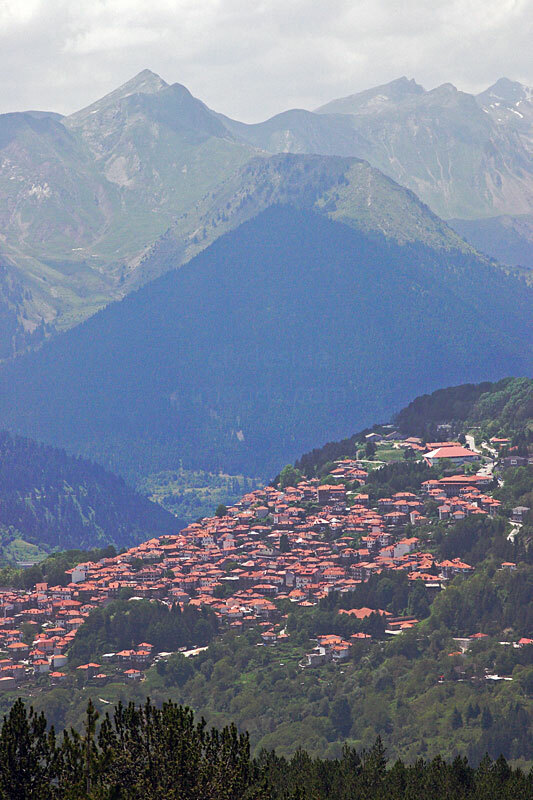 ​The Katara Pass (right), also known as the Metsovo Pass, located 5 km northeast of the town, is a high-level route through the Pindos Mountains. 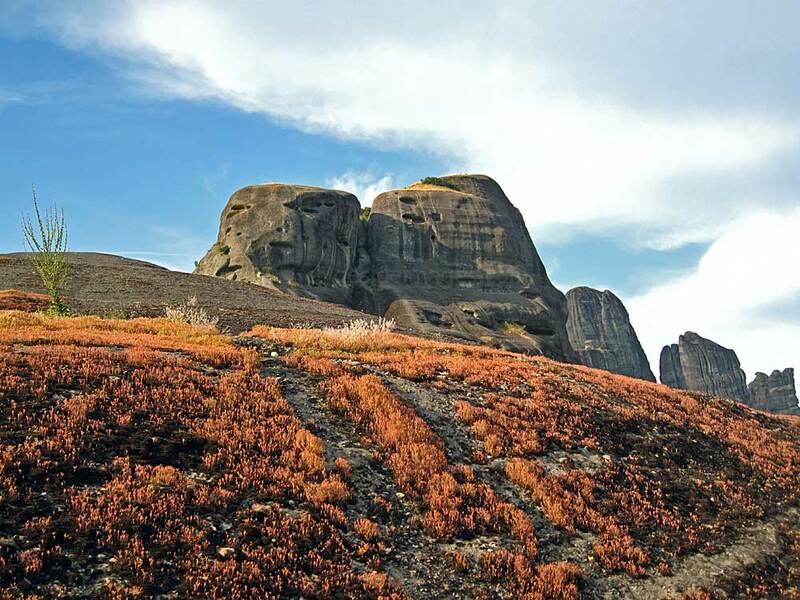 The summit of the pass reaches 1,705 m (5,594 ft) making it one of the highest in the country. 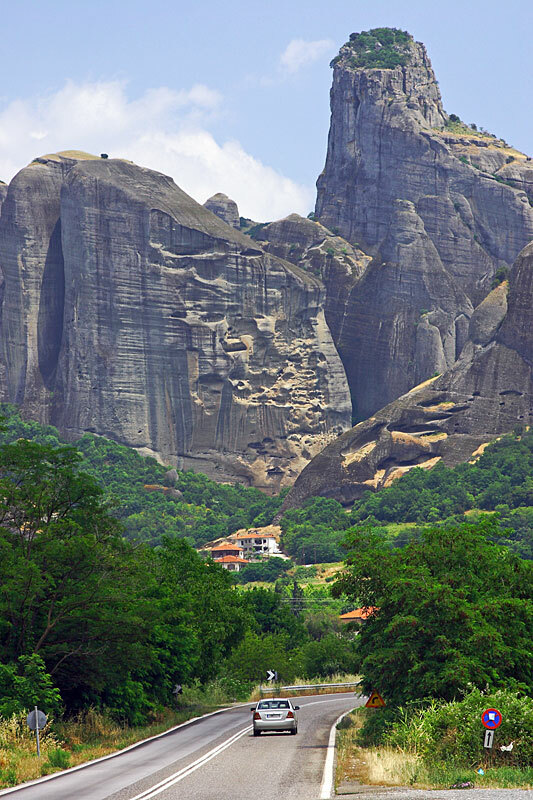 The views of the Aoos and the Pineios valleys from the Pass, as well as the surrounding mountains, are unsurpassed. Snow Plough Stations are spaced at regular intervals along the highest stretches of the route. 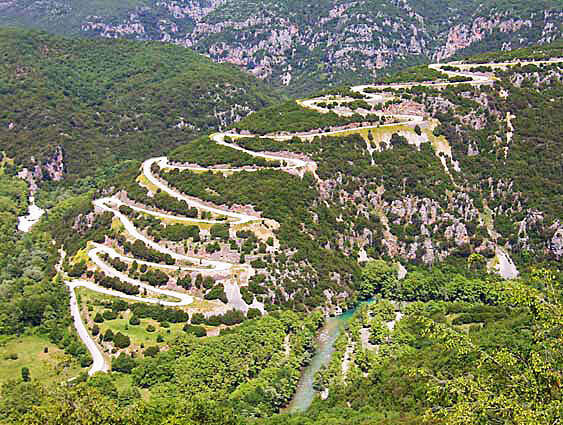 The Greek National Road 6 (Igoumenitsa - Ioannina - Metsovo - Trikala - Larissa) crosses the Pass which used to be the main route, however, traffic has sharply declined since the opening of the motorway. The ice and snow have taken their toll on the Pass road as the surface was badly cracked in many places. There were also several landslips with a single lane bulldozed through one large pile of rock debris which had recently blocked the carriageway. 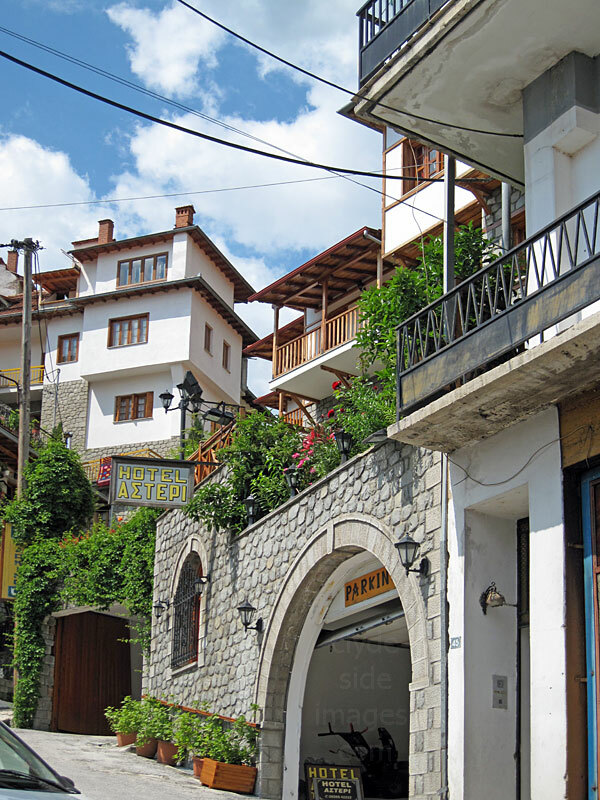 Having taken the high-level Katara Pass road from Metsovo to Kalambaka, we attempted to retrace the route four days later but discovered that it was closed to westbound traffic, possibly as a result of further rockfall so had to stick to the highway. Unbelievably, there was a bear foraging on the hillside not far from the road but by the time I found a safe spot to pull over, turn and drive back, it had disappeared. 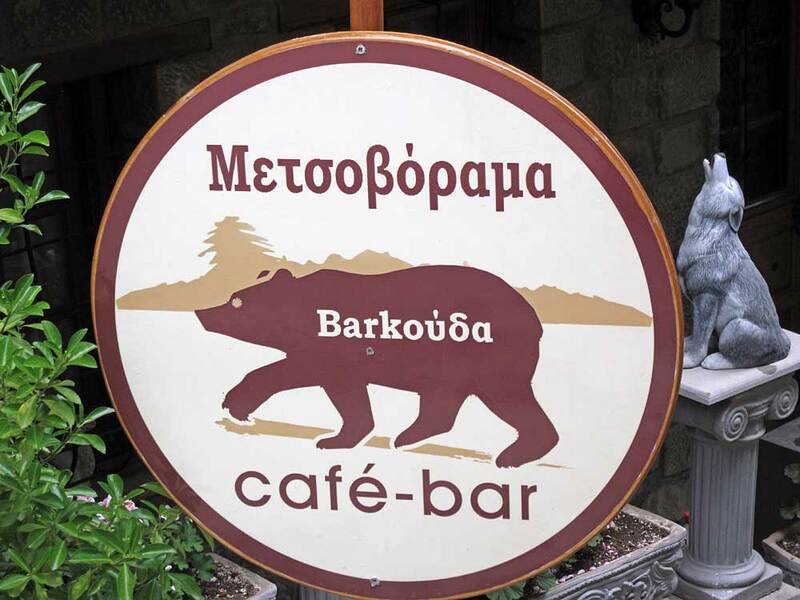 ​Later, after a drink at Metsovo`s Bear Cafe & Bar to celebrate the sighting, we strolled back uphill, collecting a couple of superb freshly baked Feta cheese & spinach pies from a traditional bakery on the main street. 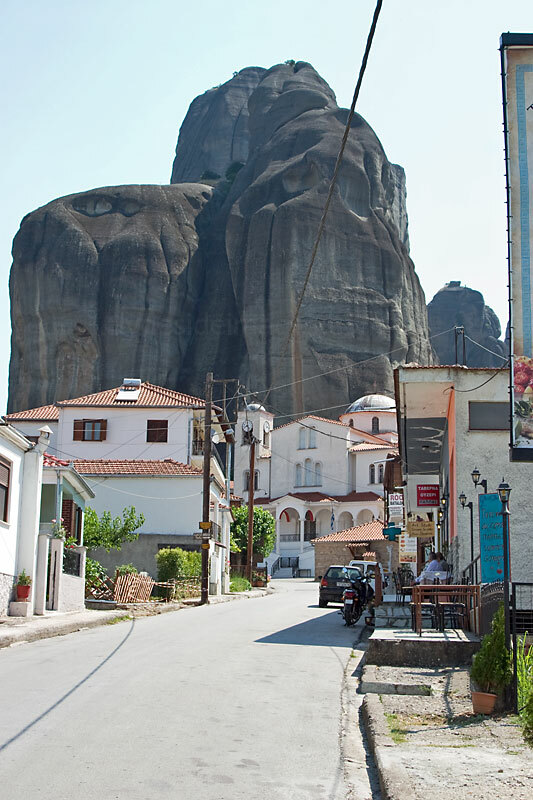 Above: A Kalambaka street scene and below, the approach to Kastraki village and a view of Kalambaka from the Meteora rocks. 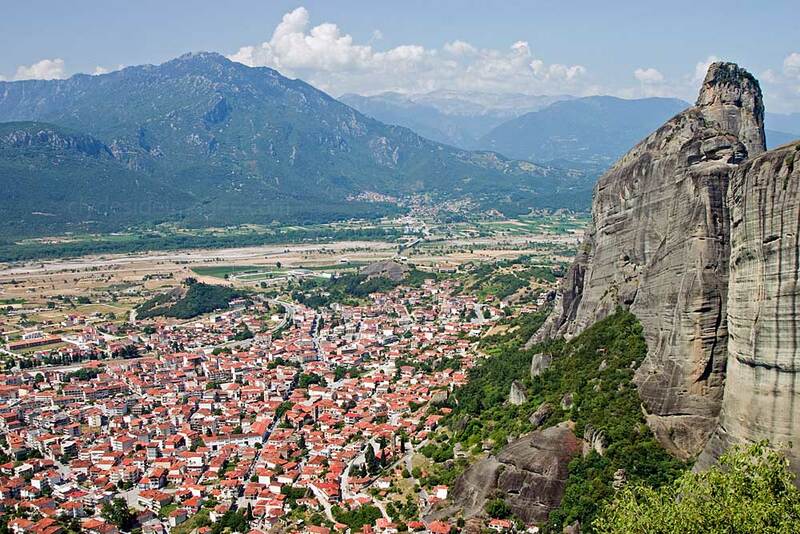 The major town of Kalambaka (from the Turkish word for `pinnacle`), lies right below the rocks. 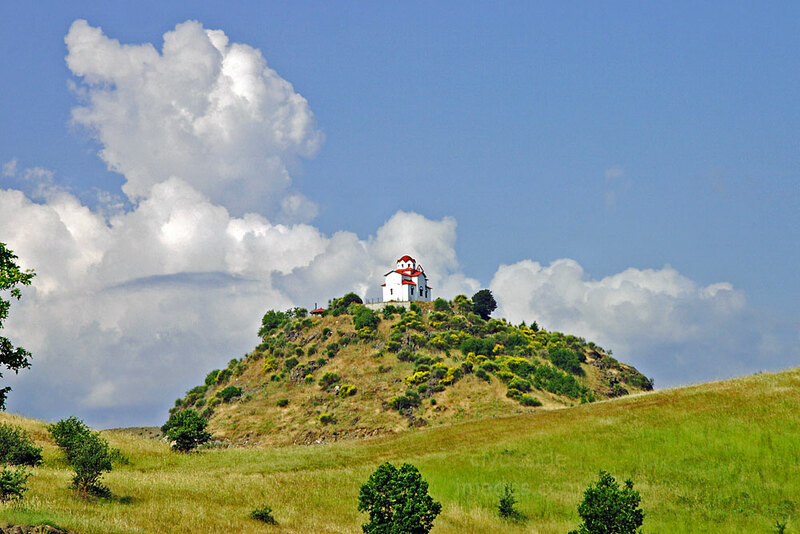 It`s almost entirely modern, having been destroyed by German bombing during World War 2. 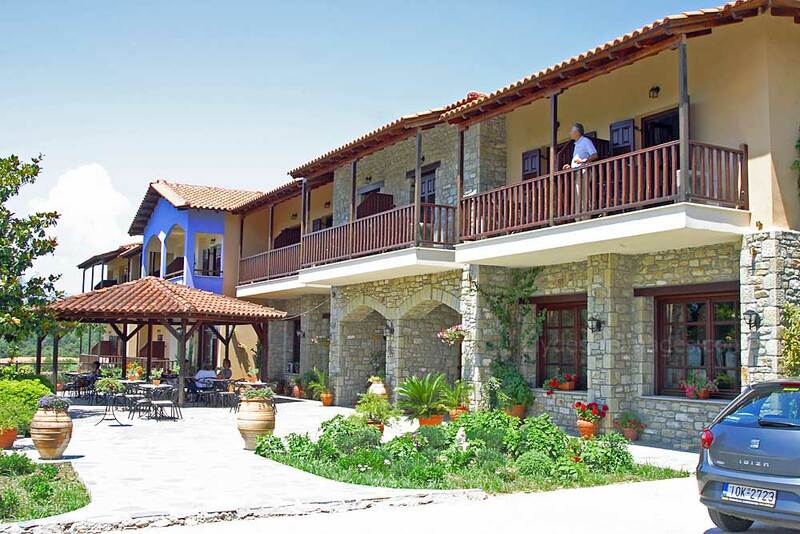 There is a wide range of accommodation and eateries in Kalambaka but it`s very much an overnight base for coach tours so the neighbouring village of Kastraki, where we stayed this time, is by far the best option. 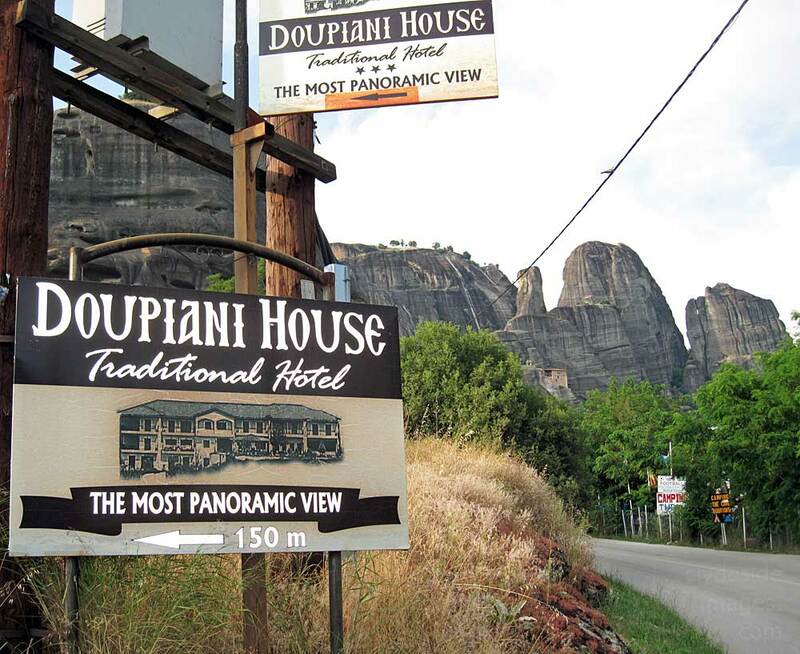 Base for our three-night stay was the superb Doupiani House Hotel situated just a few hundred metres outside Kastraki village. 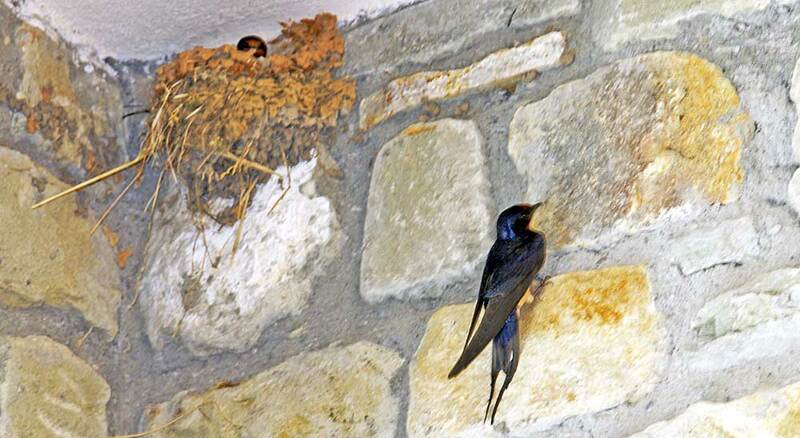 Swallows were nesting. above each of the two front entrances. 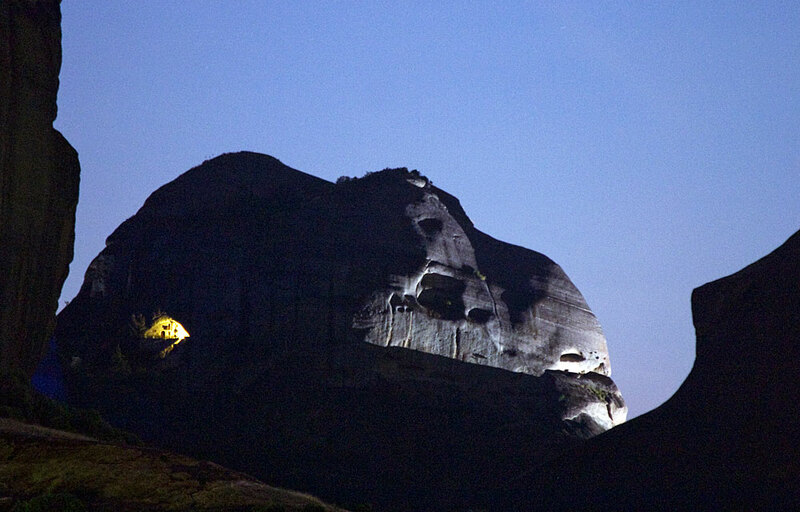 Moonlight is illuminating the rock on the far right in the above view but there was an even clearer light shining from a semi-circular cave on the left side.​ Having first seen it on our first night, we discovered that this was another very spartan dwelling where a solitary monk lived. 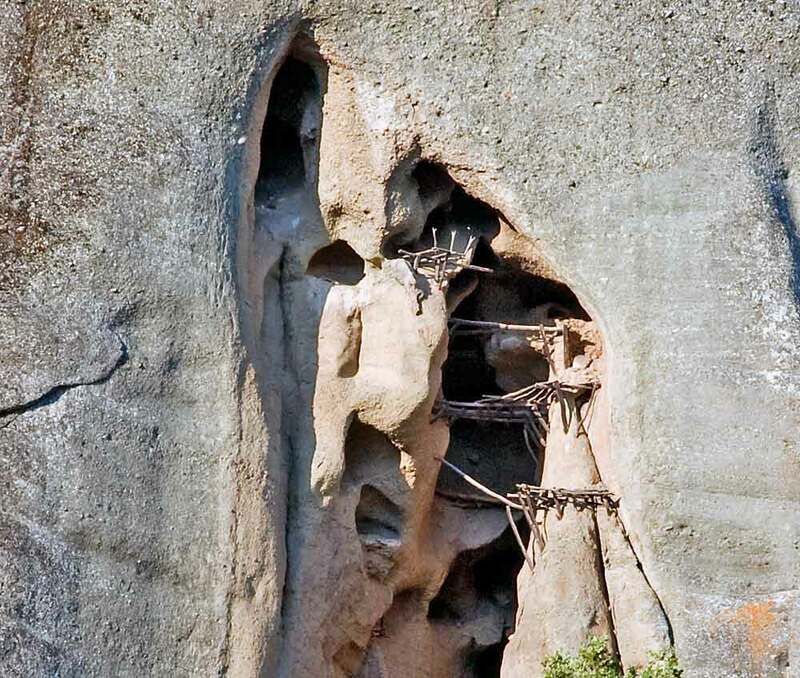 ​​Sure enough, come daylight, you could make out a door and windows in the rock connected by wooden walkways - it may be quite a plush cave after all! 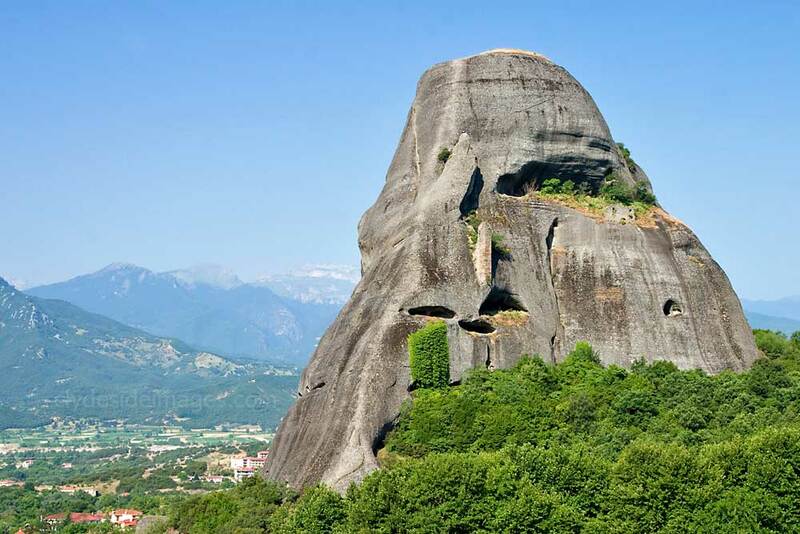 A van travelling on the back road between Kastraki village and Kalambaka emphasises the scale of the sheer rock faces. A perfect table for breakfast - no traffic noise, just birdsong. 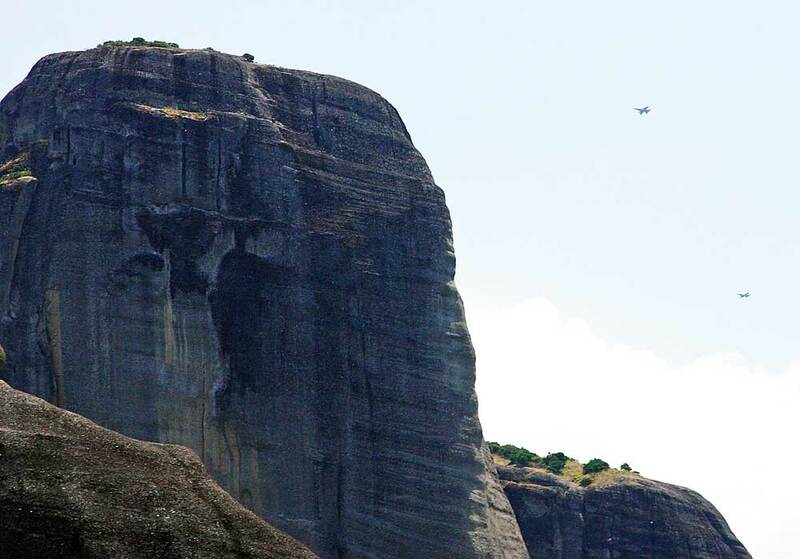 It was a different story later as F-4E Phantom IIs and F-16s of the Larissa-based 110 Combat Wing seem to favour the skies above the Meteora as their training arena. 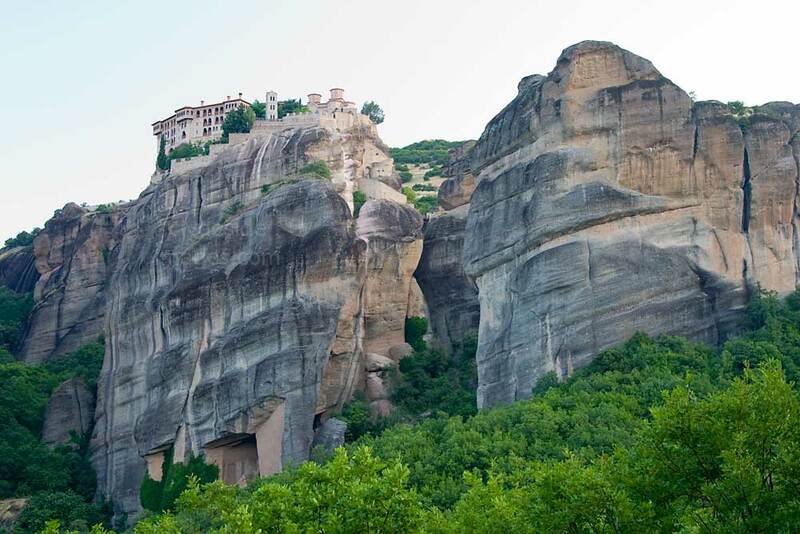 Each day around lunchtime I watched from the hotel balcony as three or four aircraft made several high, wide circuits before descending and hurtling just above the bizarrely-shaped sandstone rock formations and the monasteries spectacularly perched on top. 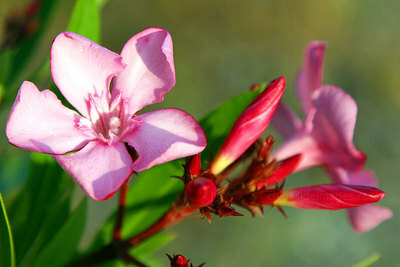 My 400mm telephoto lens, which I hadn`t bothered to bring, would have come in handy but I only had a 105mm with me. 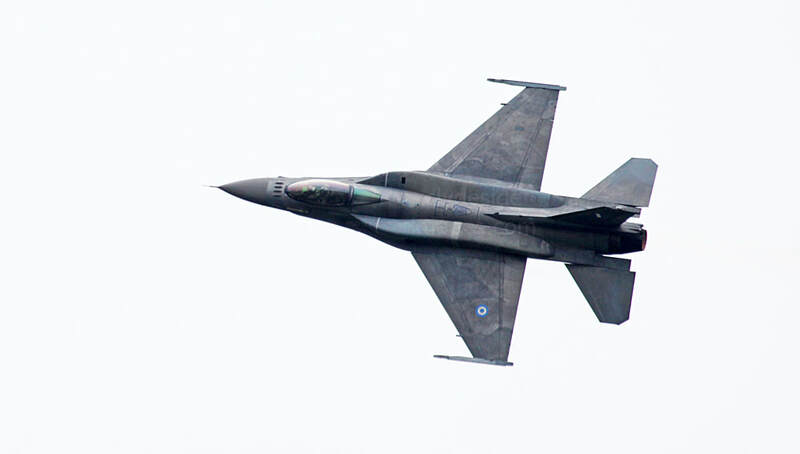 Fortunately, just a few weeks after I returned home, the Greek Air Force Phantoms and F-16s were making an appearance at the Royal International Air Tattoo at Fairford, and although I saw the latter type in action, I had to settle for static shots of the veteran F-4Es. 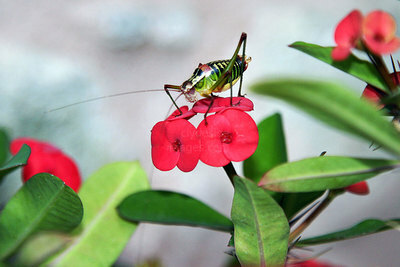 "Hi guys! I thought you were terrific flying about the Meteroa last month - What are the chances of a flight in the back seat of your Phantom?" 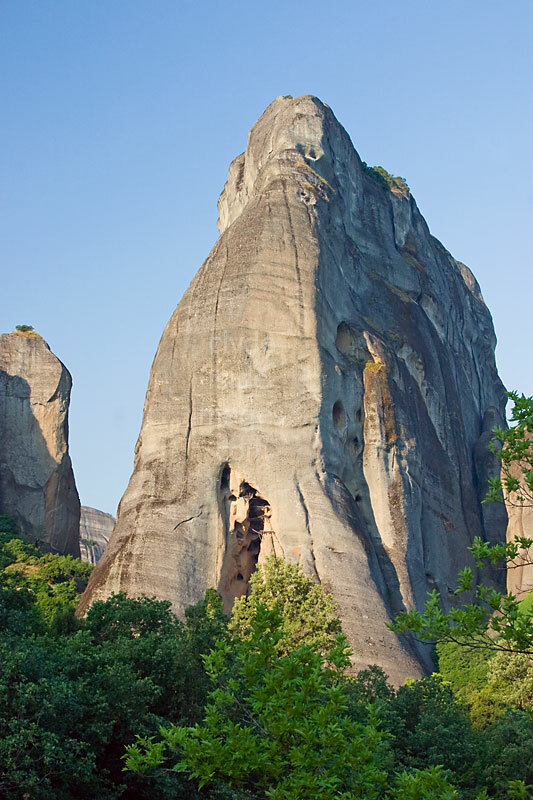 I took these views from the foot of Doupiani Rock (above) which towers behind the hotel. 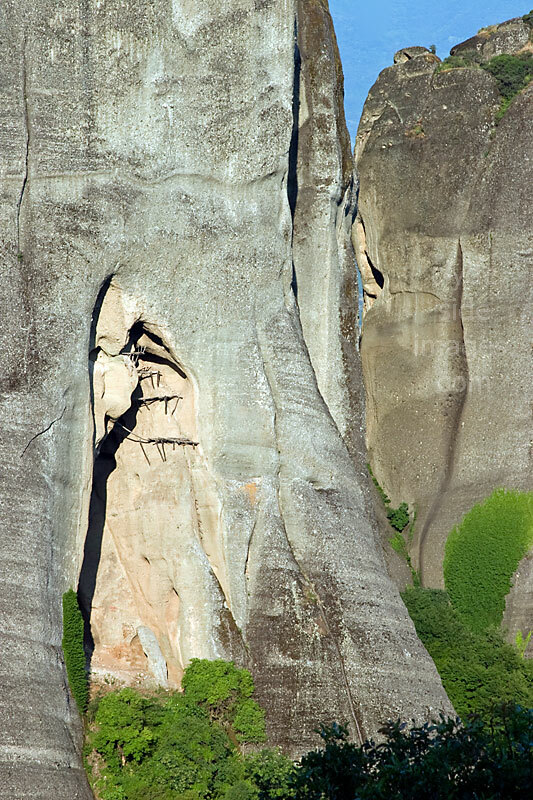 What appears to be a line of washing hangs across the mouth of a wide cavern on the face of the massive block opposite, just right of centre in the view below. 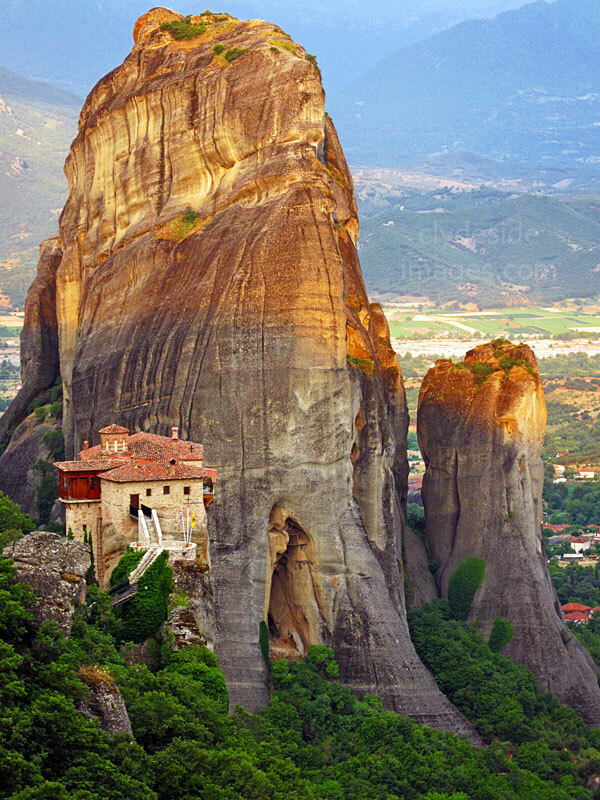 First time visitors would be forgiven if they thought that the line of garments is a hermit's laundry drying in the wind on wash day! 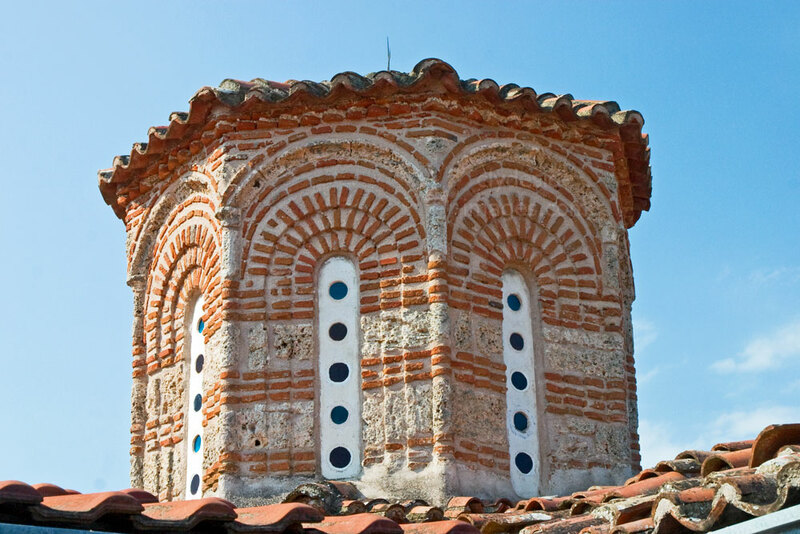 Rather than clothes, however, these brightly coloured items are actually scarves and flags which mark the ruins of the Agios Georgios Monastery. 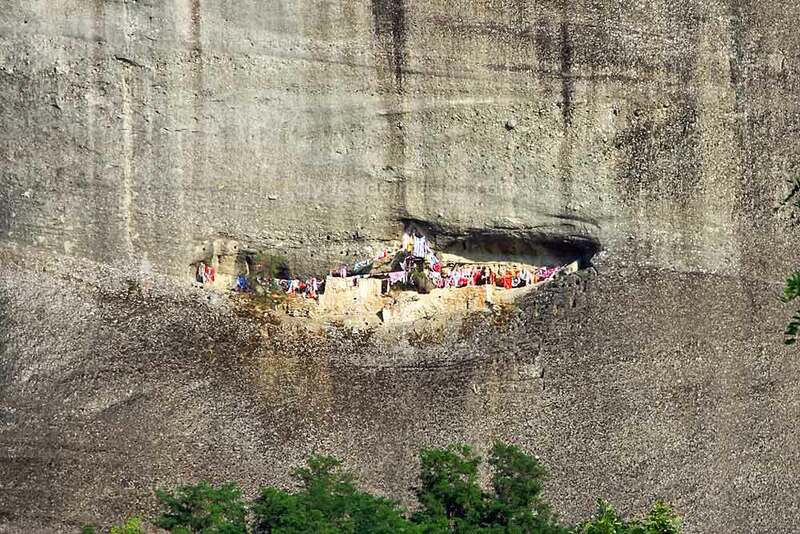 Every year on the day when St. George is honoured, local youths climb the sheer face with ropes to replace the weathered items with new ones. 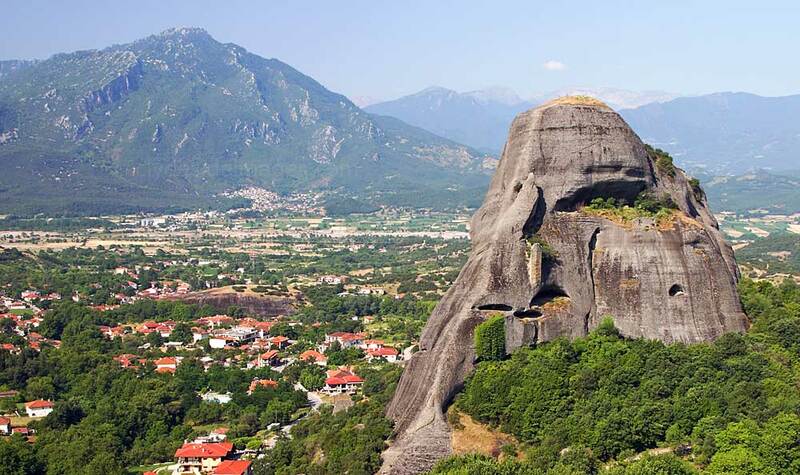 Doupiani Rock and Kastraki from ​Agios Nikolas Monastery. 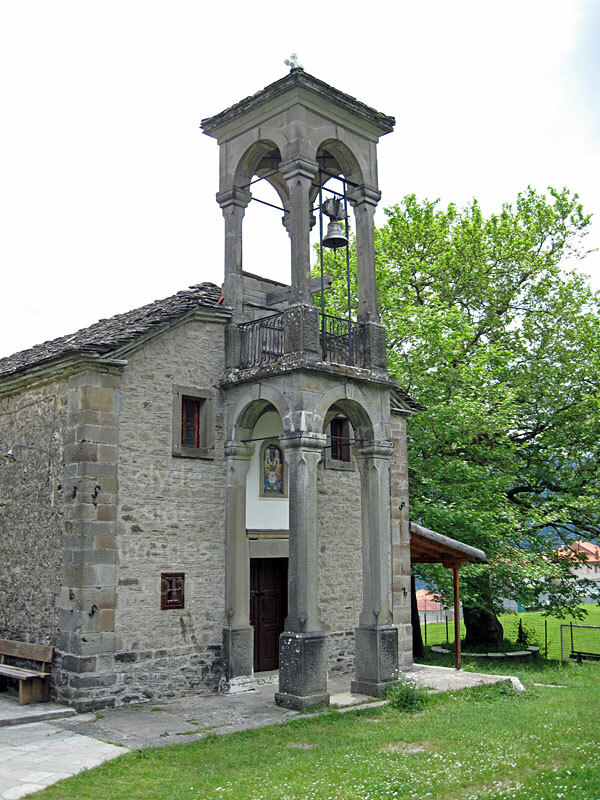 Note the stone pillar built towards the right-hand side. Several Kastraki tavernas lie within a 5-10 minute stroll of the Doupiani House Hotel (pictured on the right just left of centre). 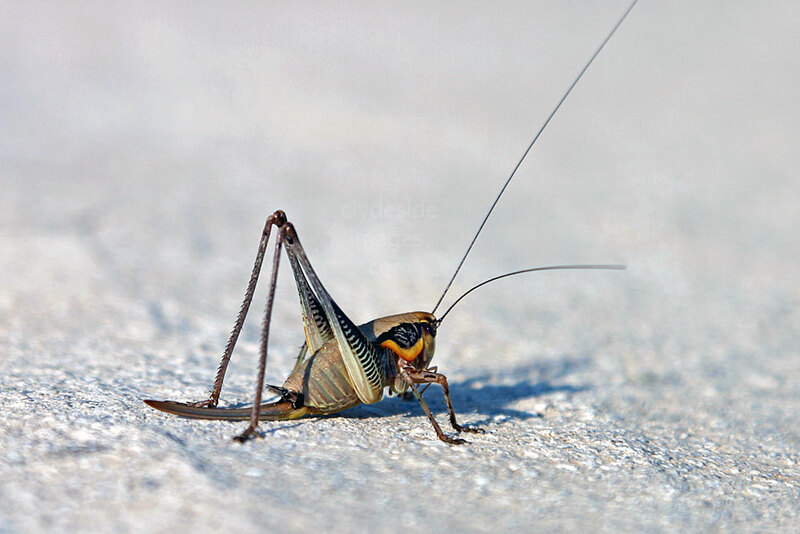 After an evening meal and a few Retsinas the fireflies sparking-up on the way back, flitting above the verges, seemed even more amazing than they actually were! The second night was a different story weather-wise with thunder and a display of sheet lightning watched from the balcony. 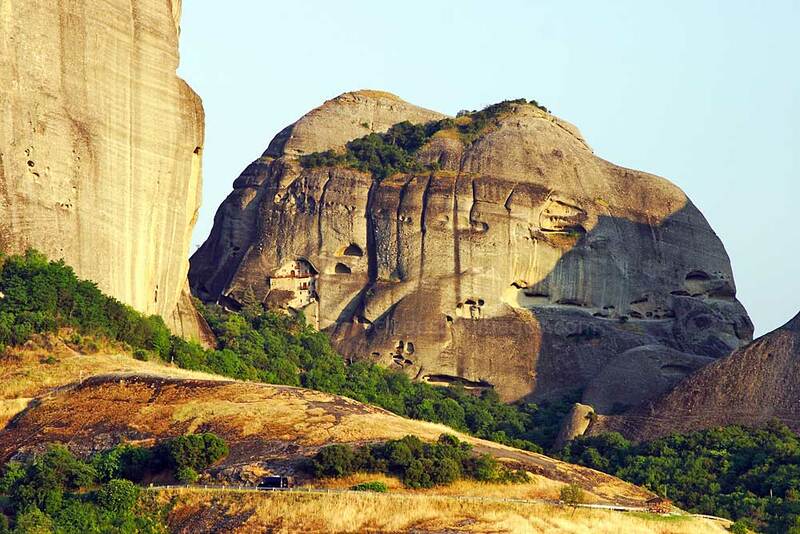 The main road surrounding the entire Meteora complex is around 15 km in length and easily covered with your own vehicle. 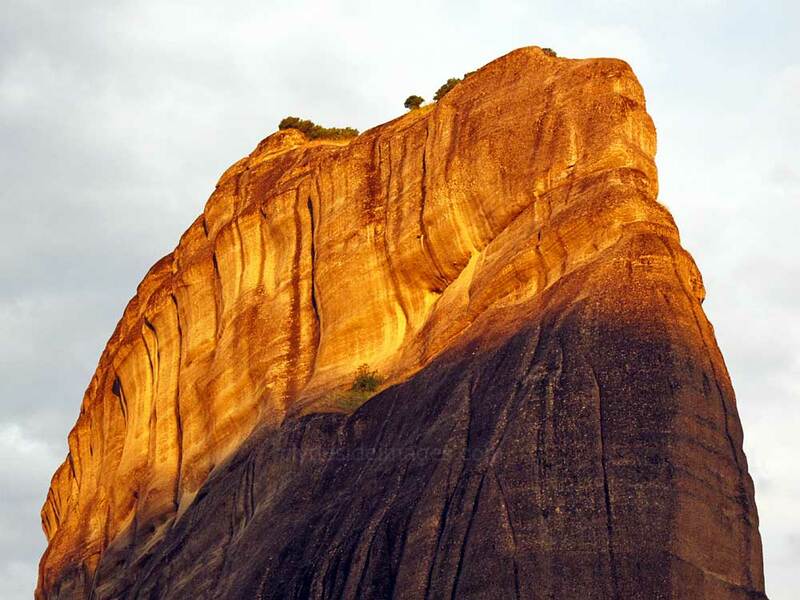 ​I did the rounds before breakfast each morning to capture the rocks at sunrise. I basically had the place to myself, passing just a handful of like-minded photographers. 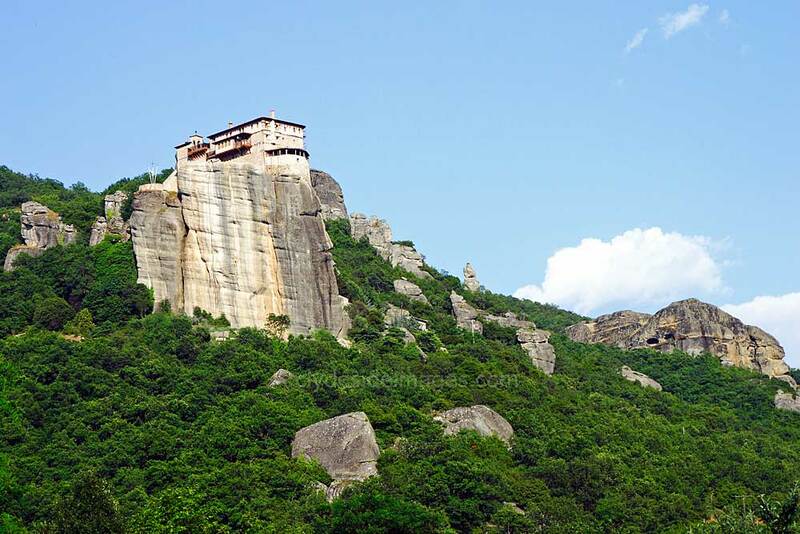 Most of the tour buses appear from 09:00 hrs onwards with the circuit getting very congested by lunchtime, especially the parking area beside the Grand Meteoron Monastery. 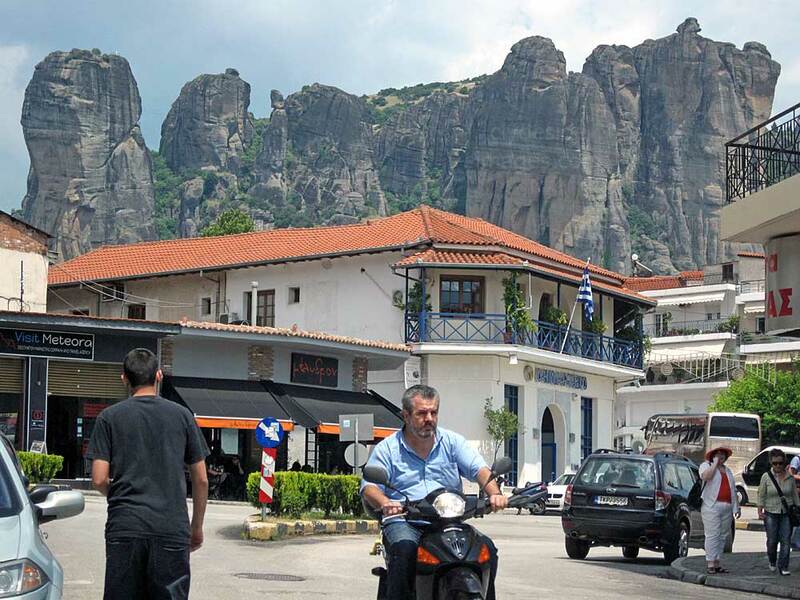 As the Doupiani Hotel is situated just around a kilometre from the nearest monastery, the Monastery of St Nikolaou (above right), it was easy to beat the crowds. 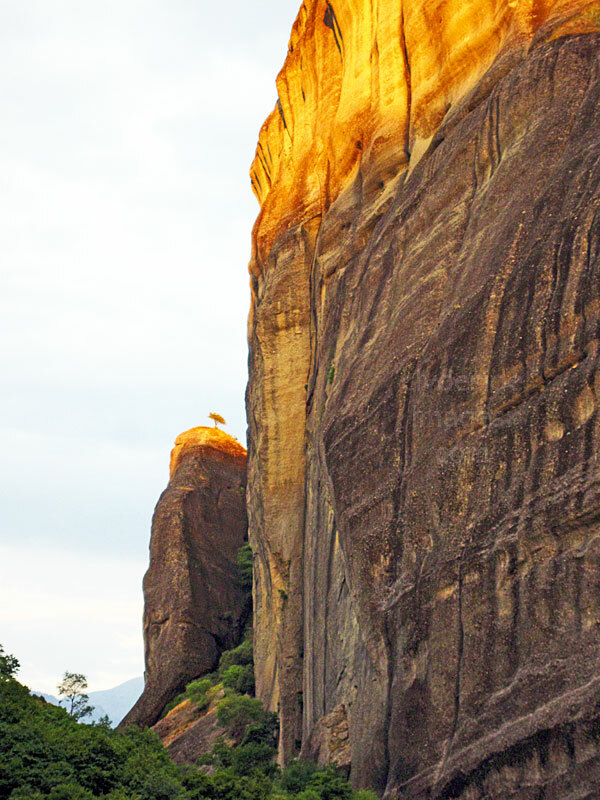 The local taxi service is always on hand to assist any visitors who don`t fancy climbing steps all the way to the top.